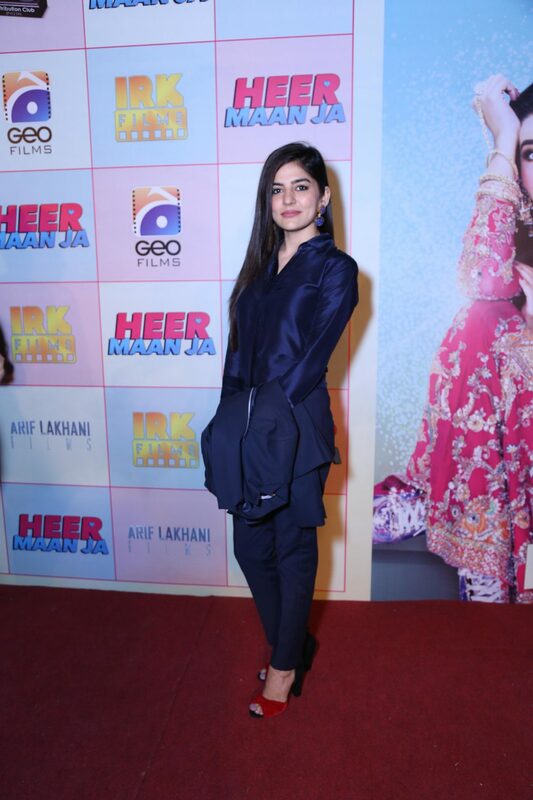 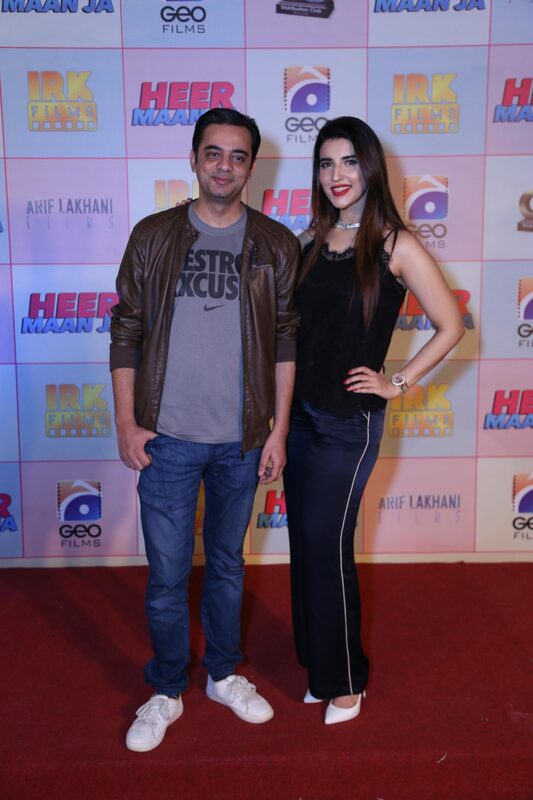 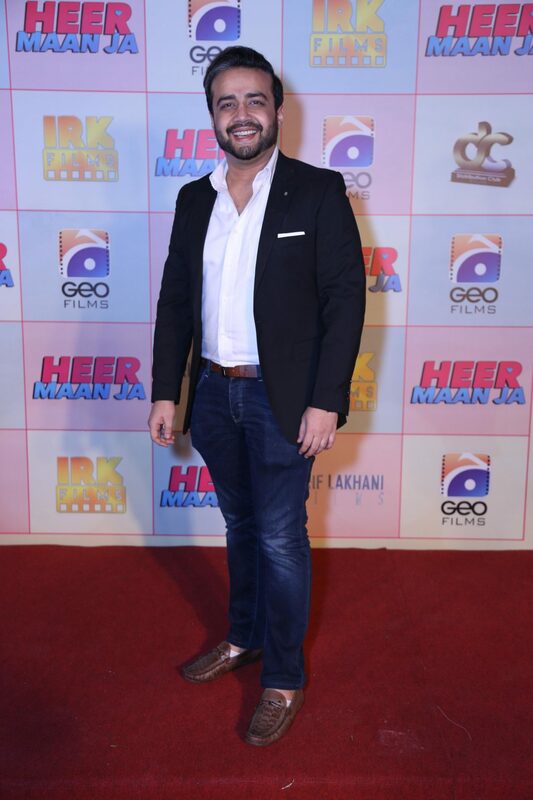 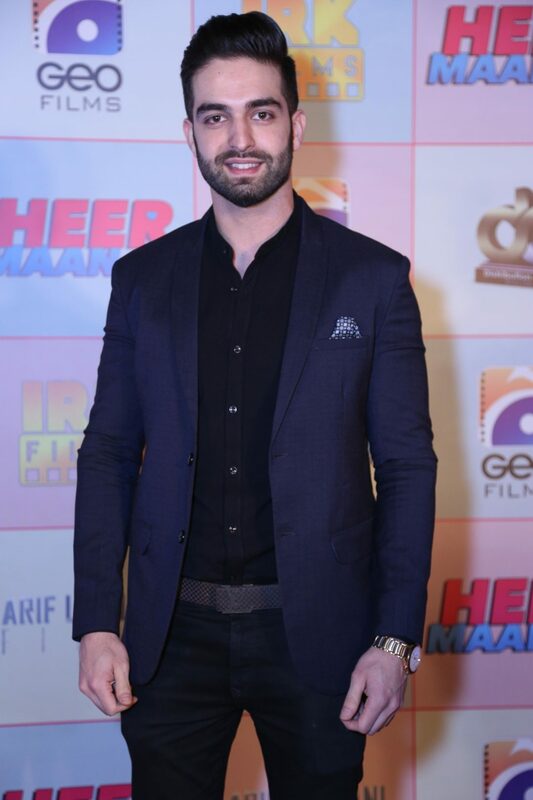 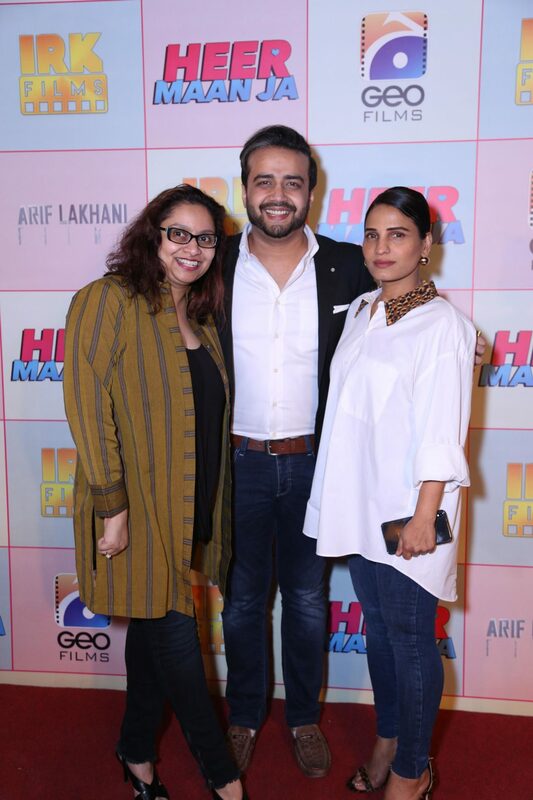 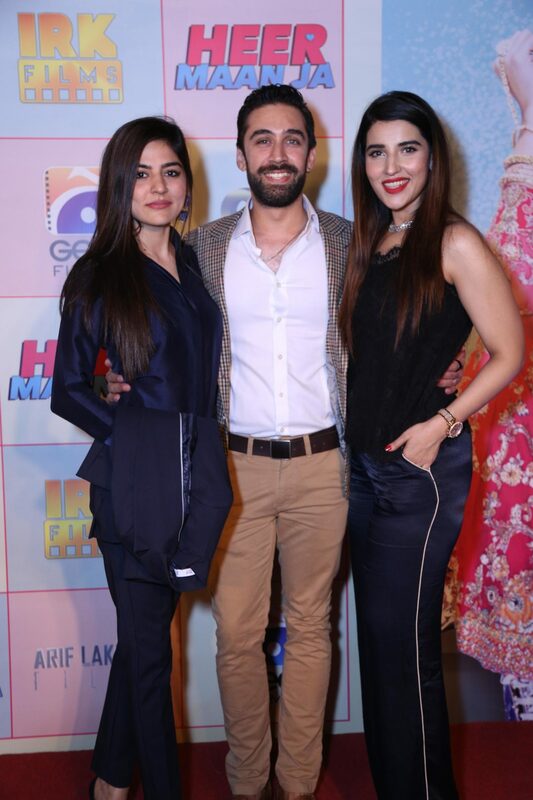 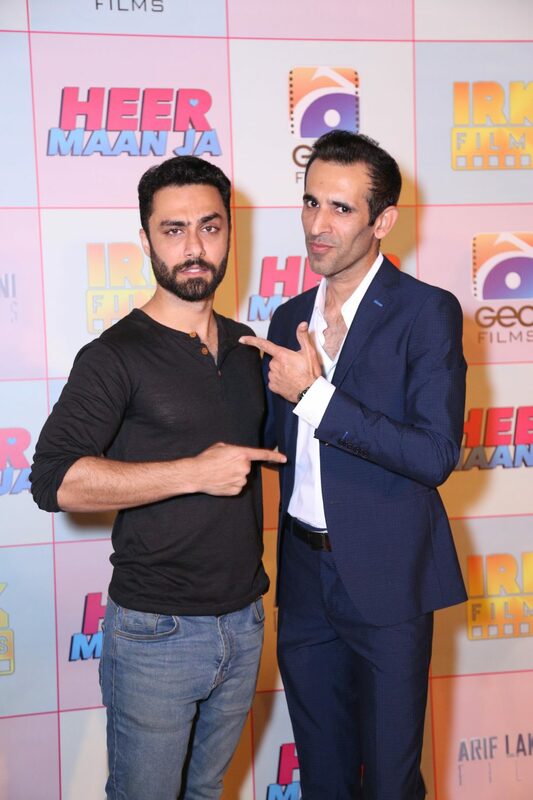 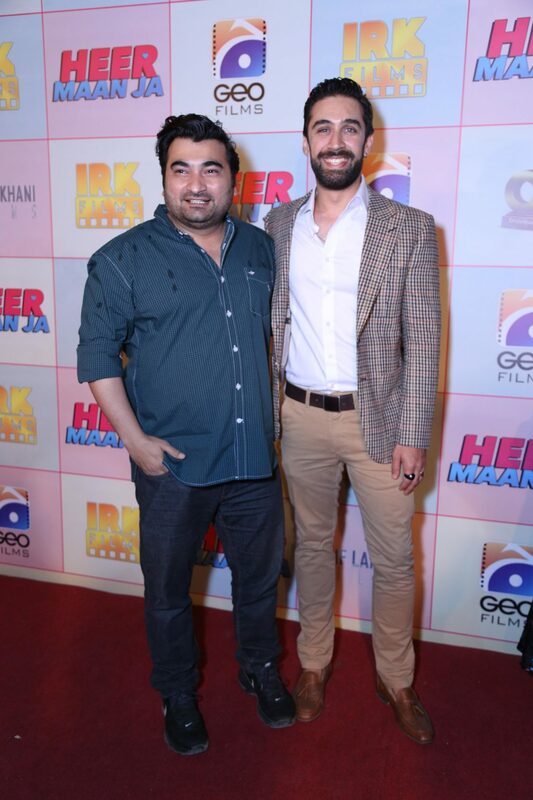 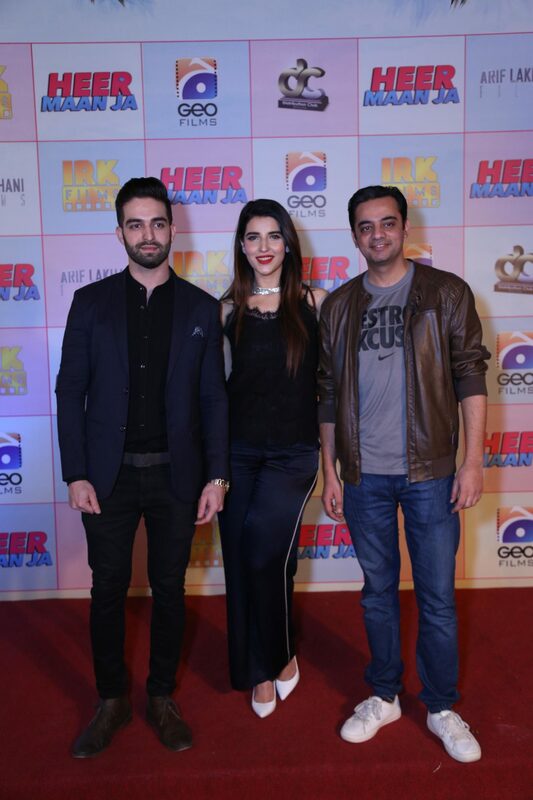 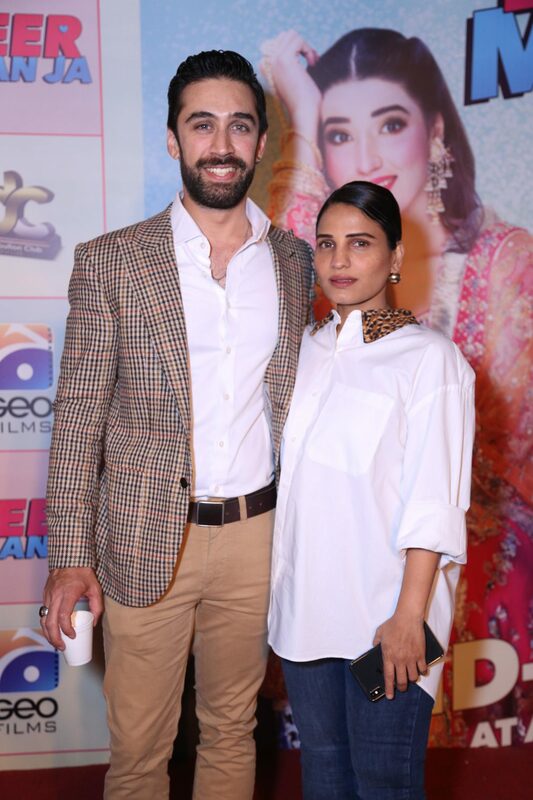 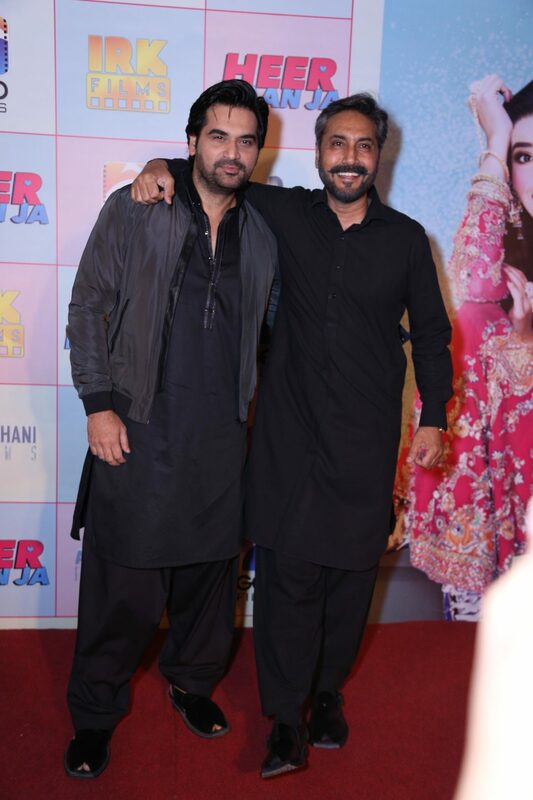 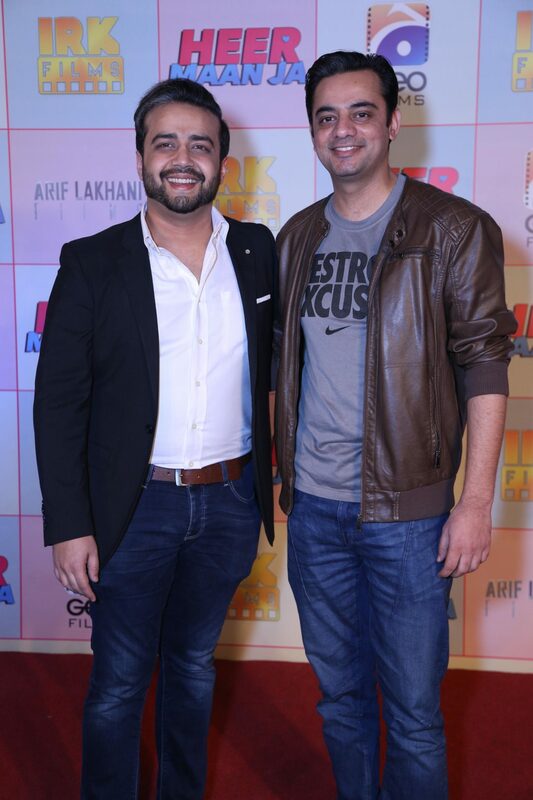 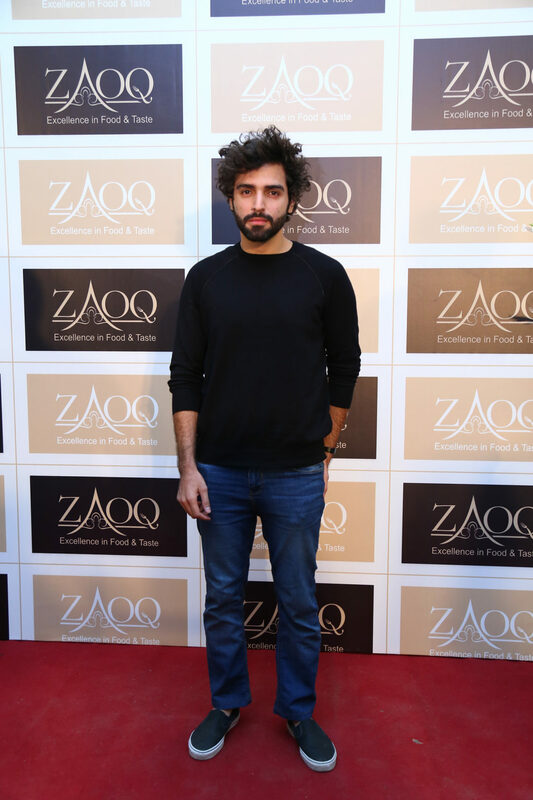 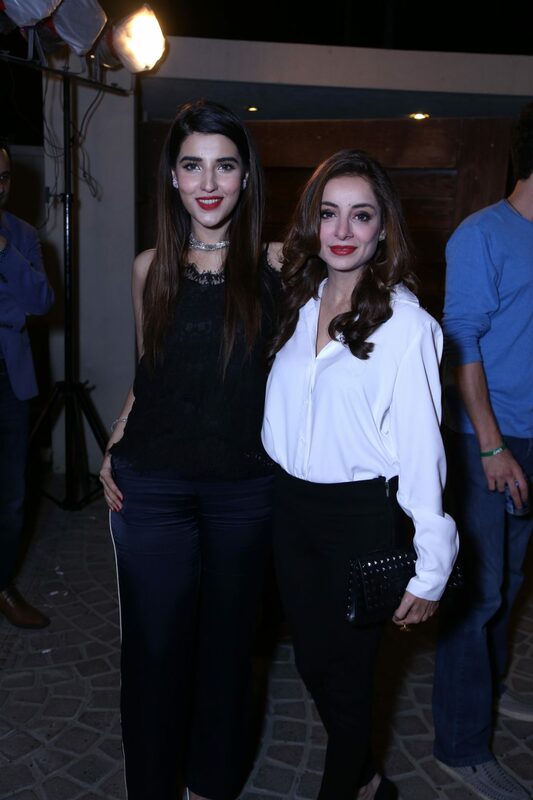 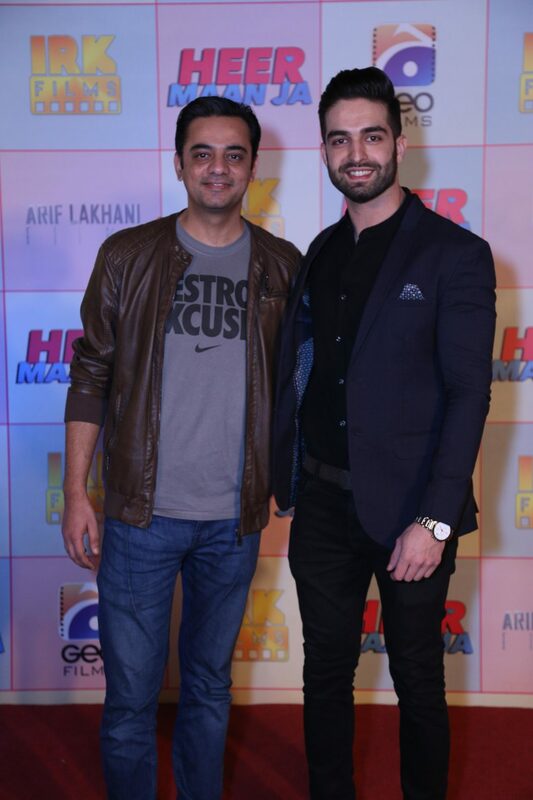 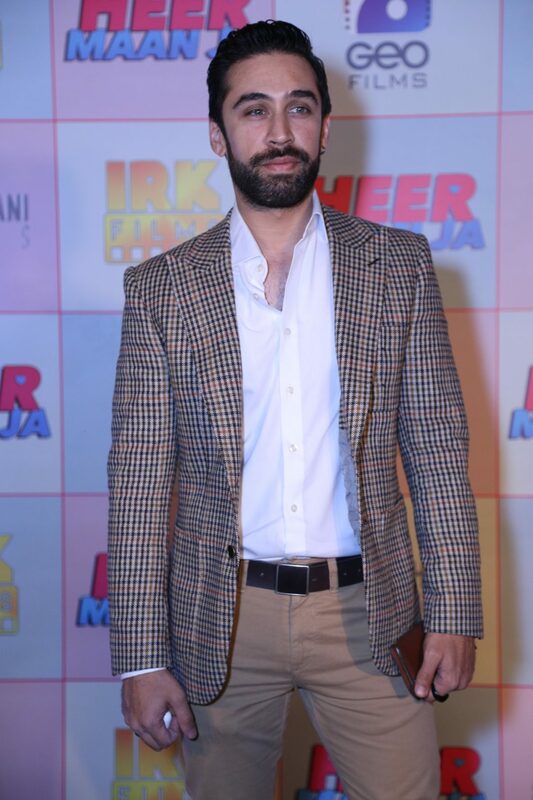 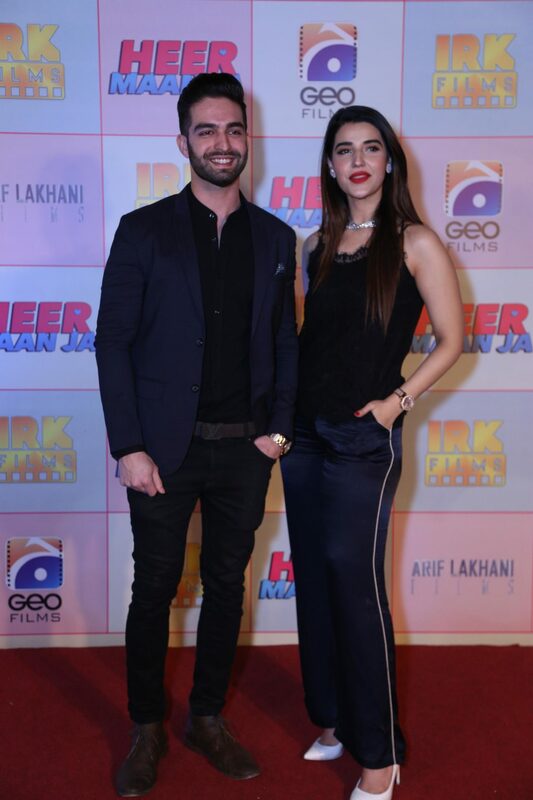 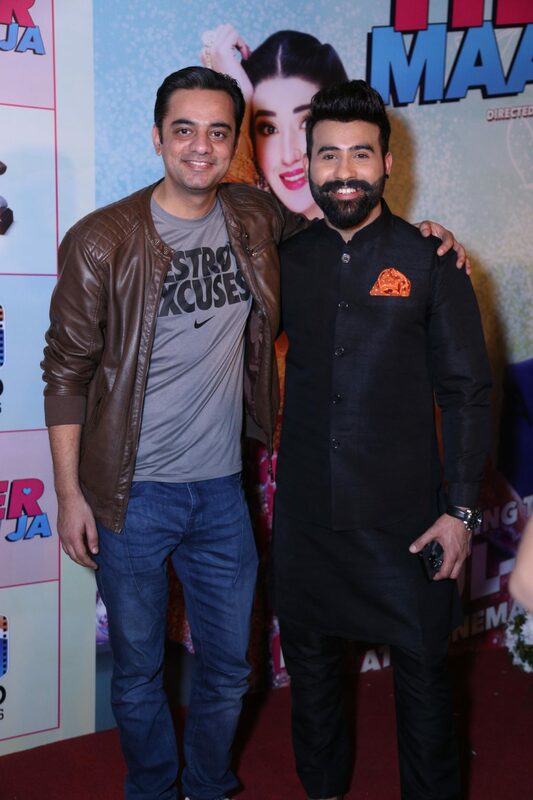 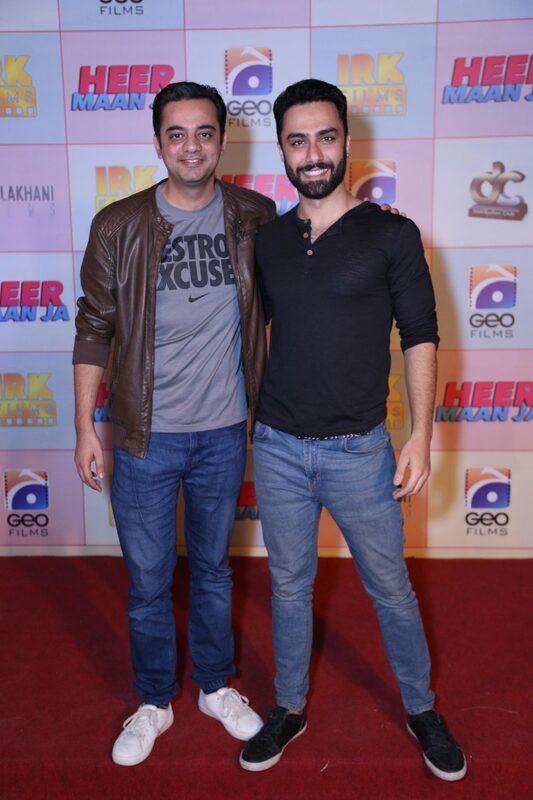 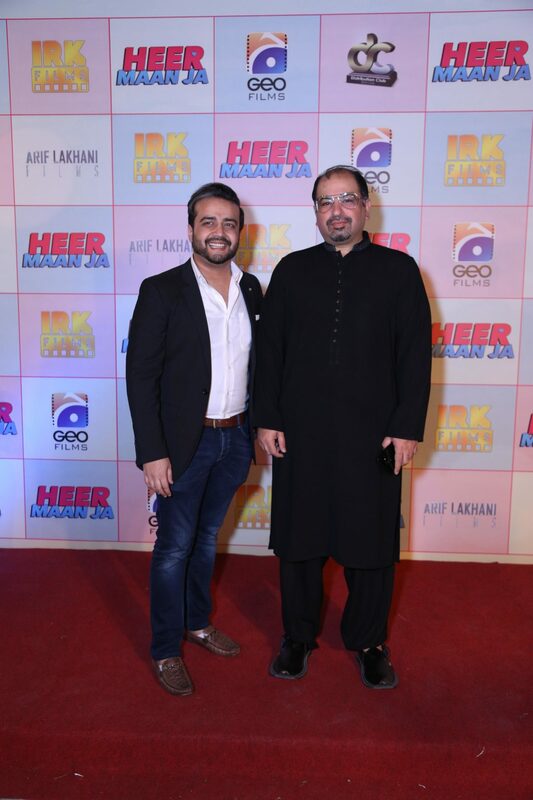 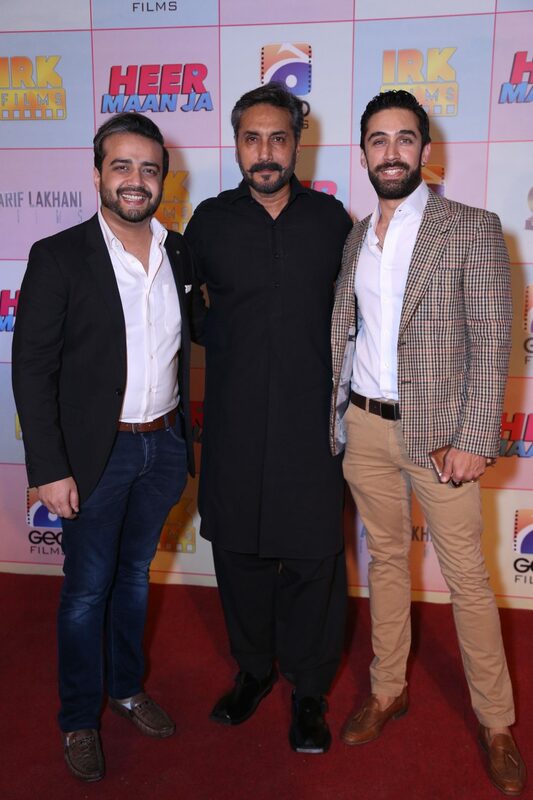 Imran Kazmi, Arif Lakhani & Hareem Farooq hosted a star studded dinner to celebrate the wrap-up of their next film Heer Maan Ja starring Hareem Farooq and Ali Rehman Khan in lead roles. 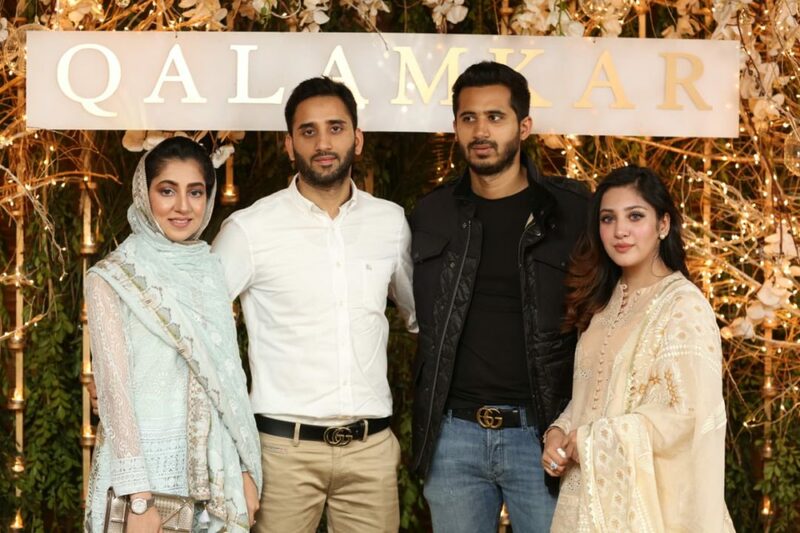 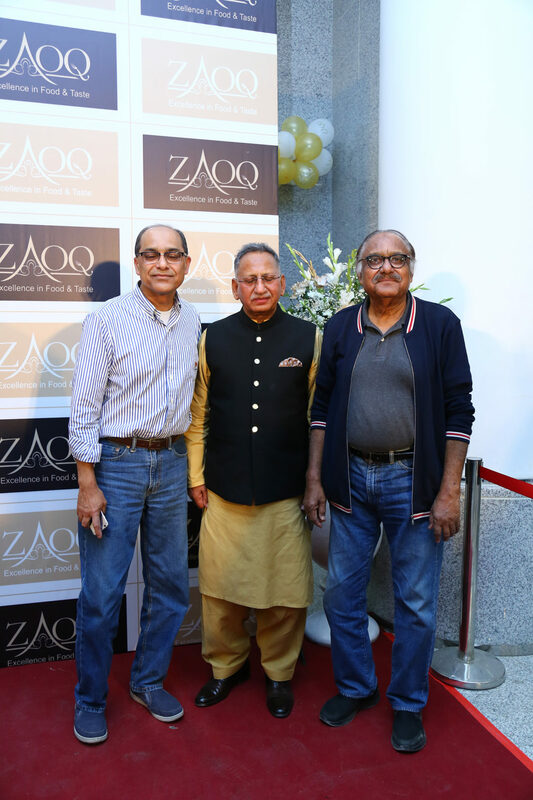 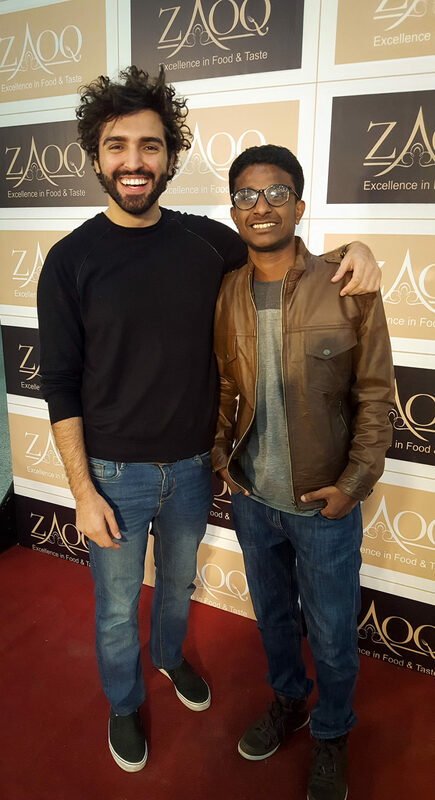 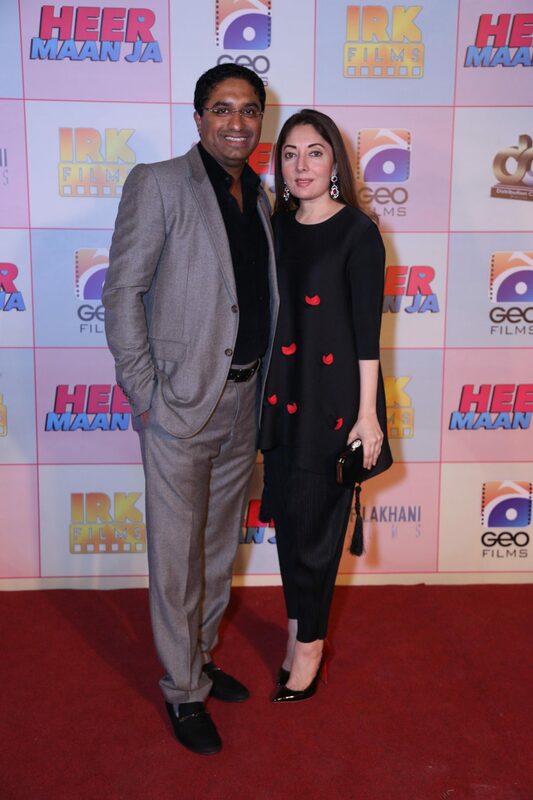 The dinner was attended by the entire film and media fraternity to show their love and support. 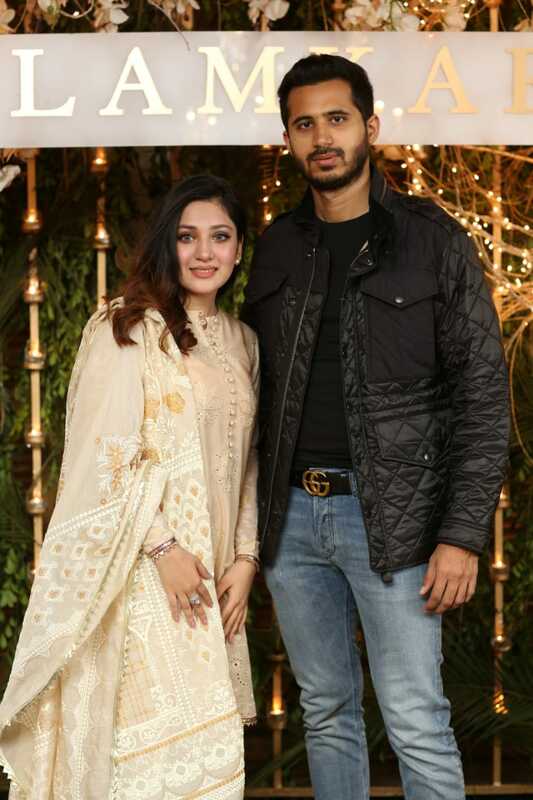 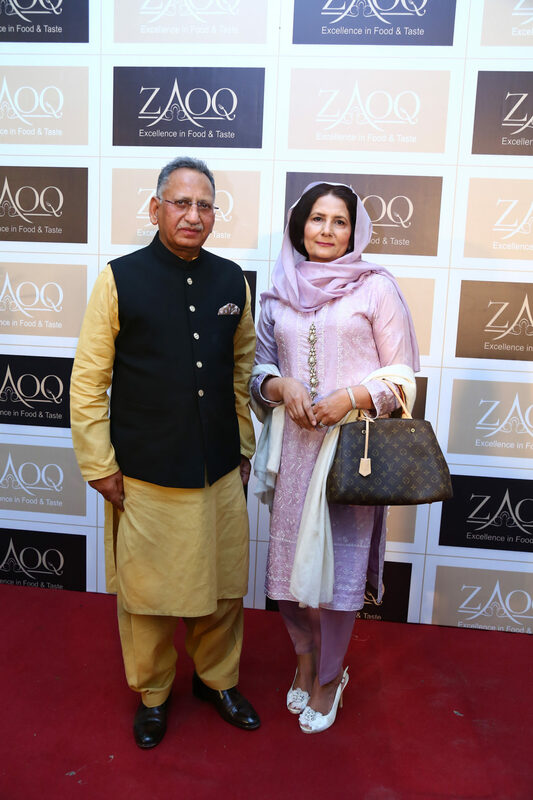 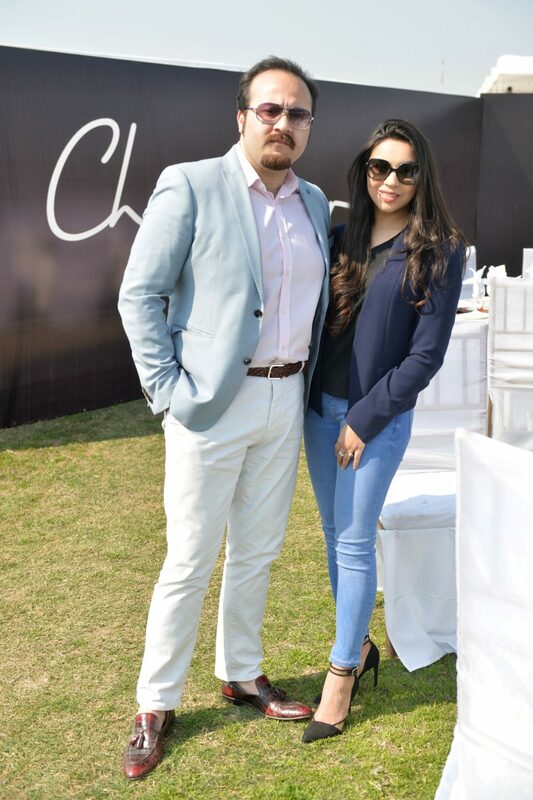 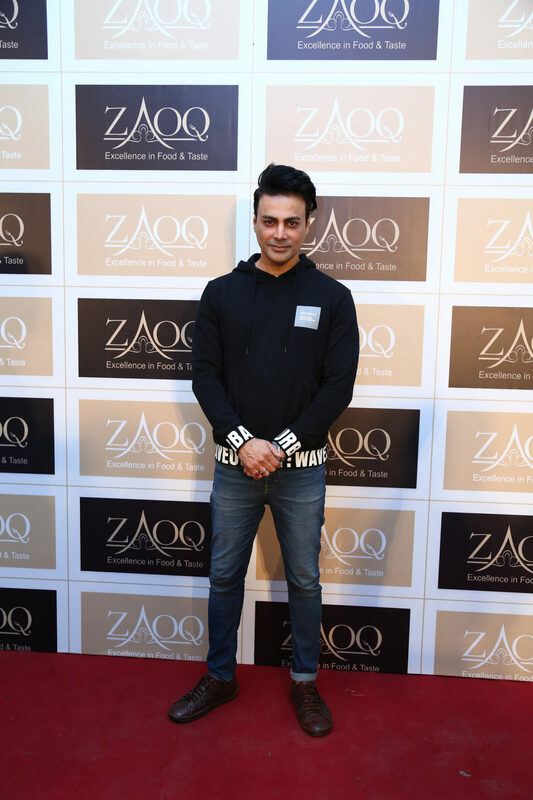 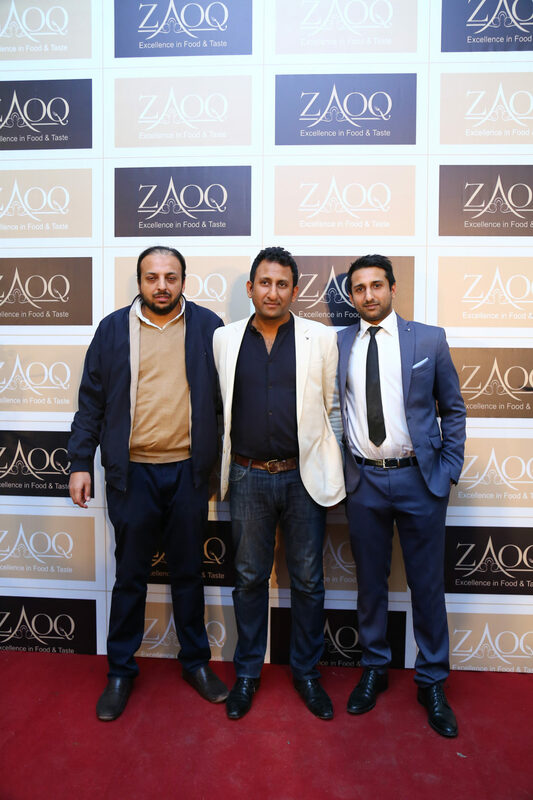 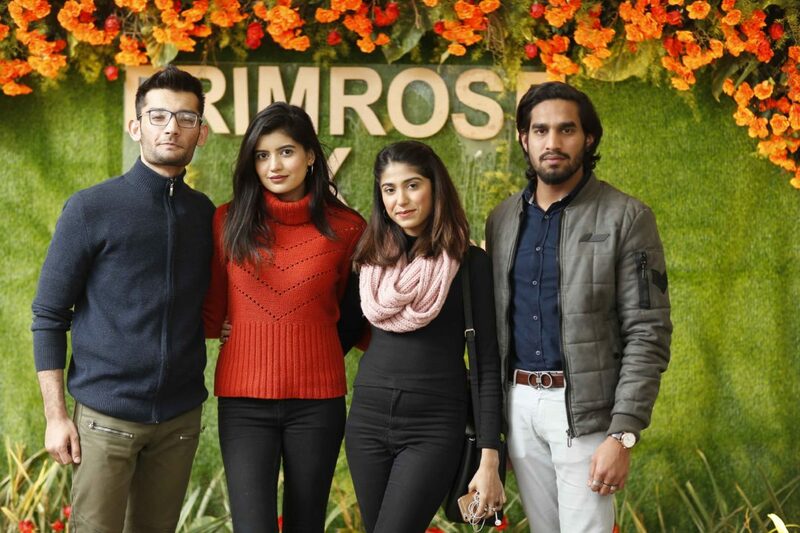 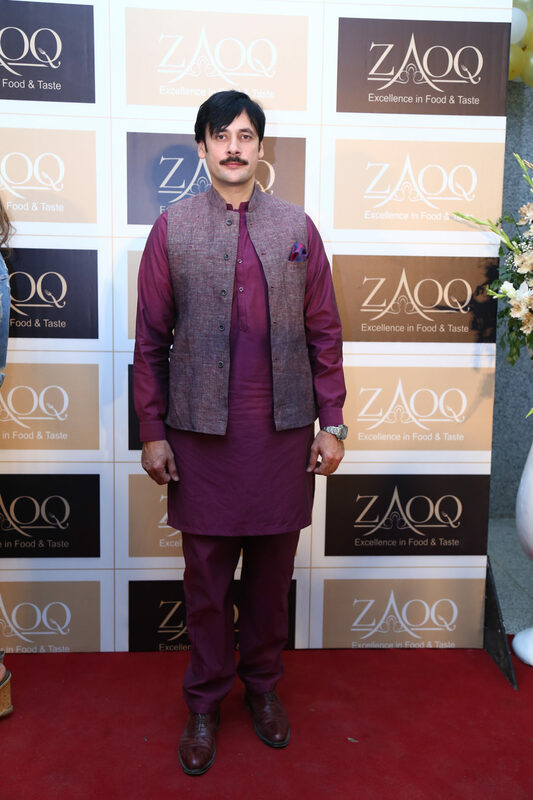 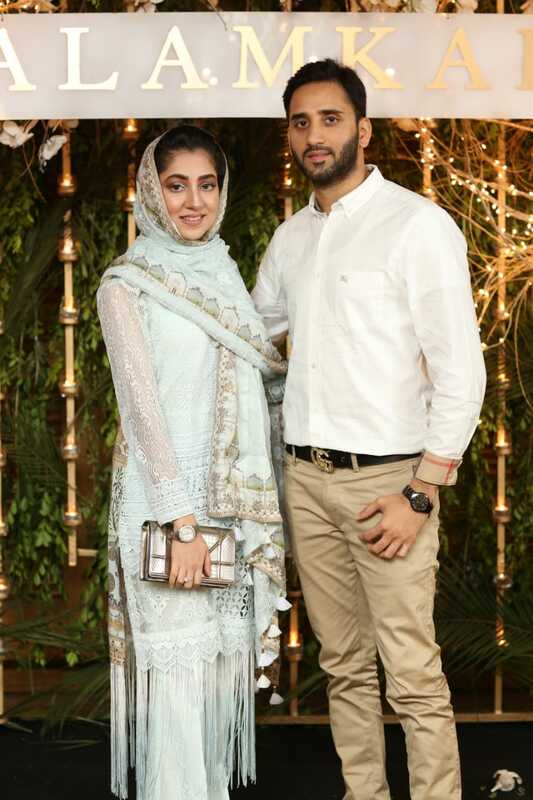 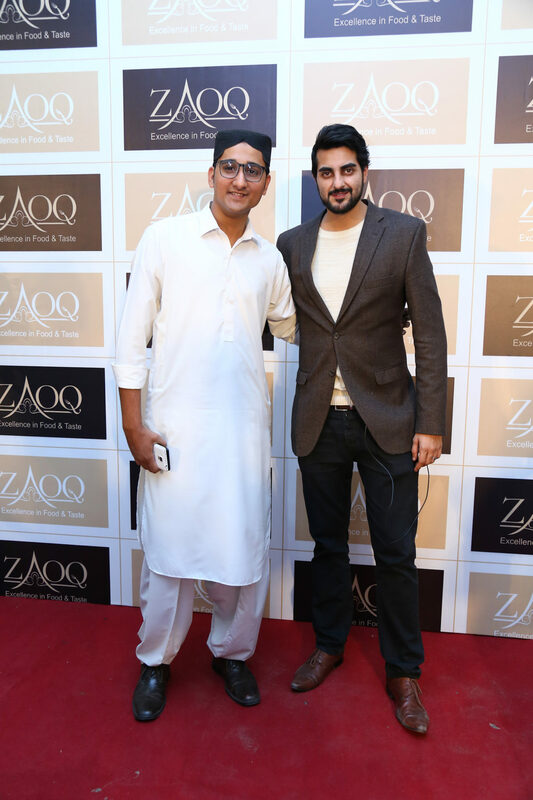 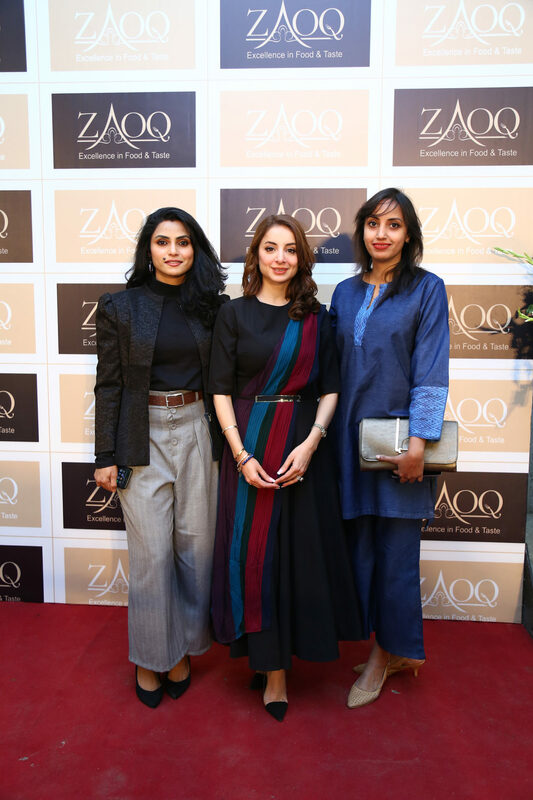 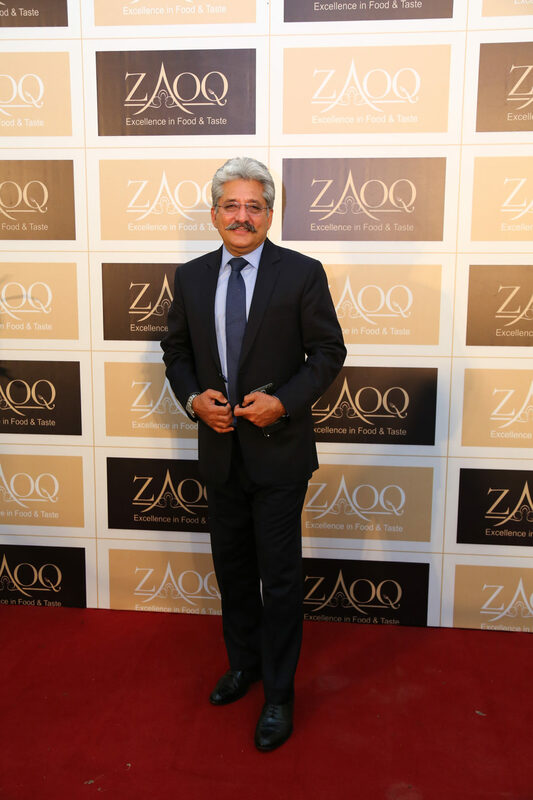 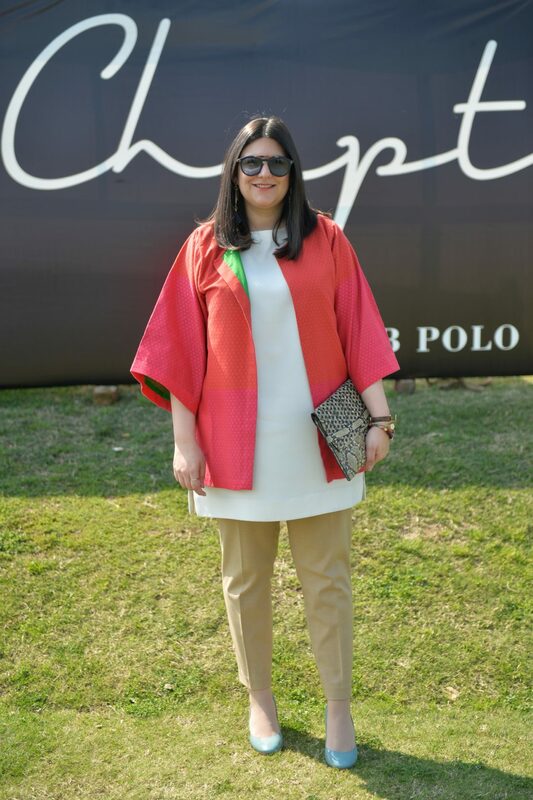 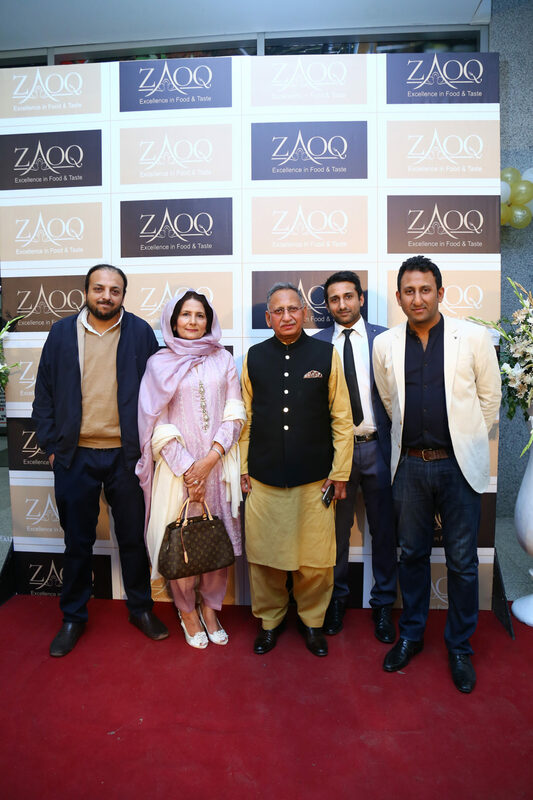 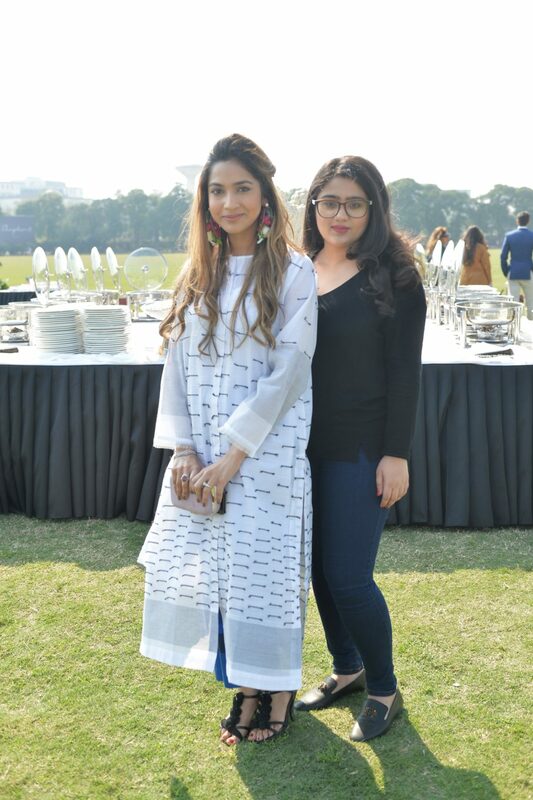 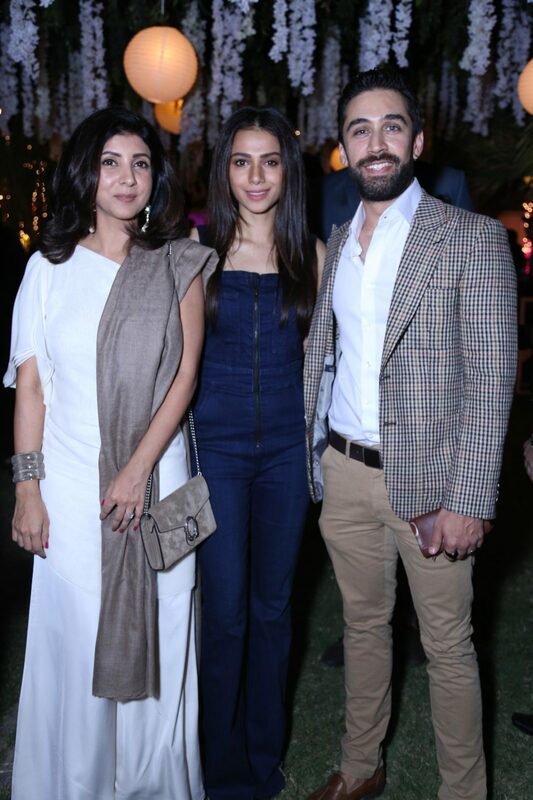 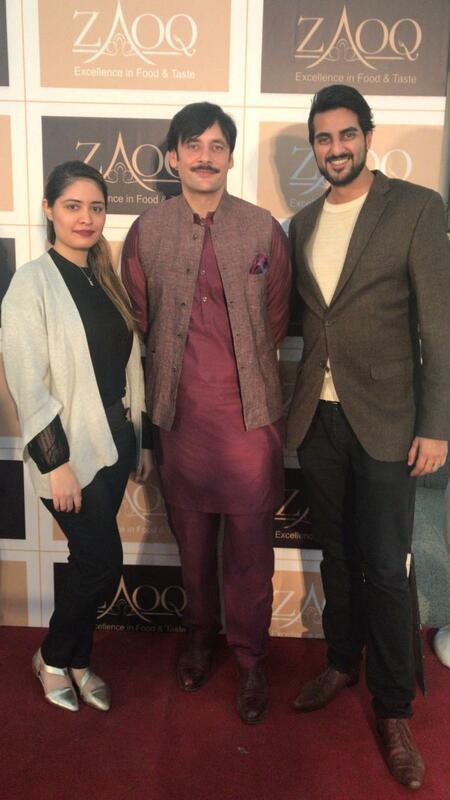 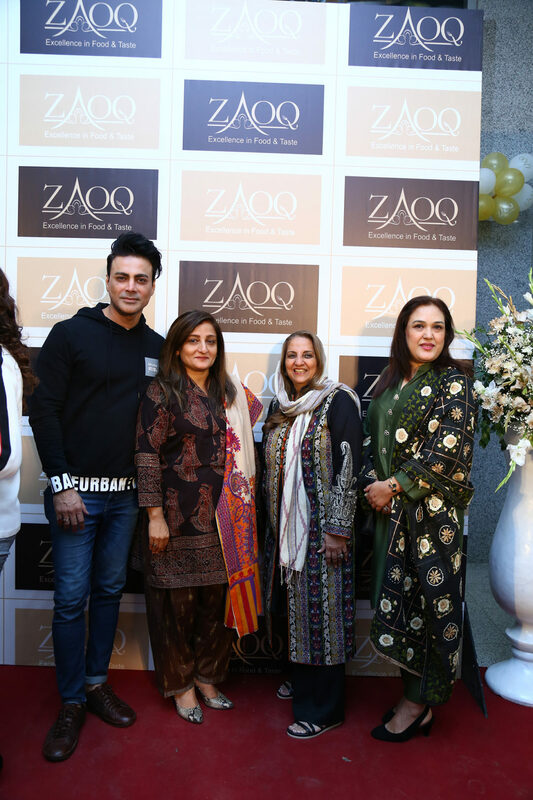 Pakistan’s coveted urban fashion brand Chapter 2 collaborated with the Lahore Polo Club as patrons of the King of Sports to present the Chapter 2 Punjab Polo Cup Tournament 2019. 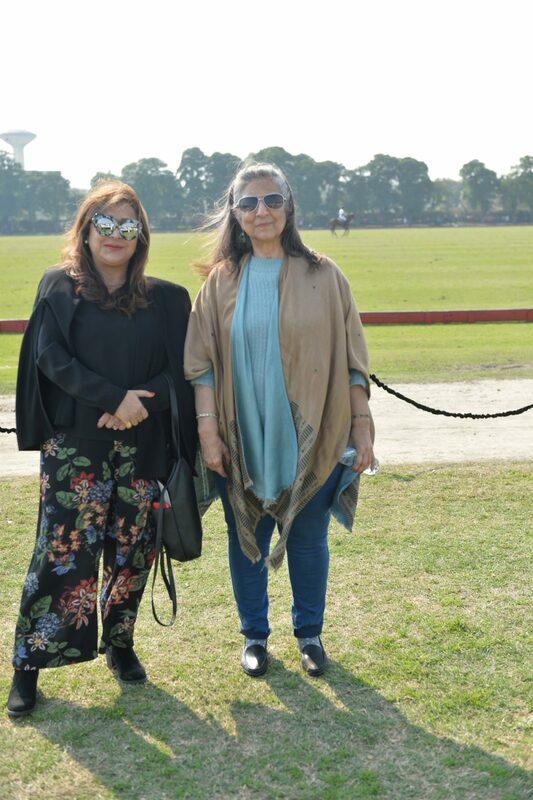 Among the most prestigious polo tournaments of the high goal South Asian Polo calendar, the Chapter 2 Punjab Polo Cup commenced on the 18th of February with a sensational final match between Barry’s and Newage/Diamond Paints on the 24th February 2019 at the historic Lahore Polo Club. 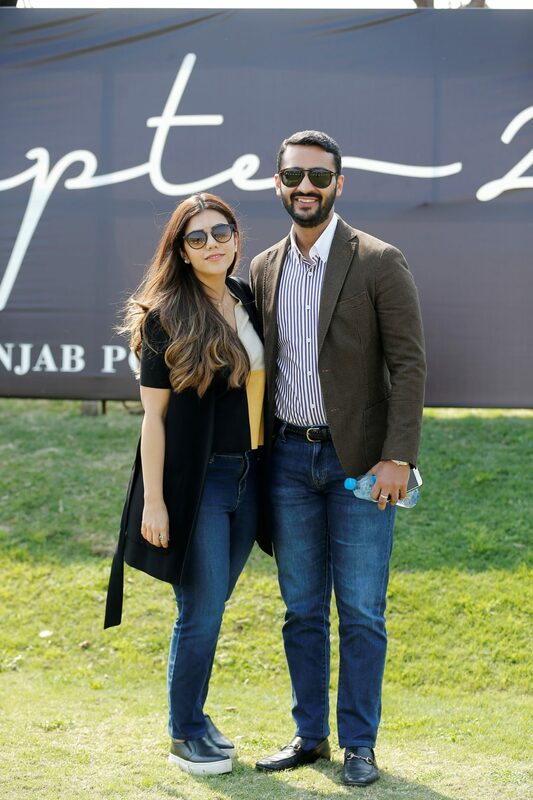 Barry’s with Nafees Barry, Raja Mikale Sami, Raja Samiullah and Bautista Bayuger took home the coveted Chapter 2 Punjab Polo Cup trophy. 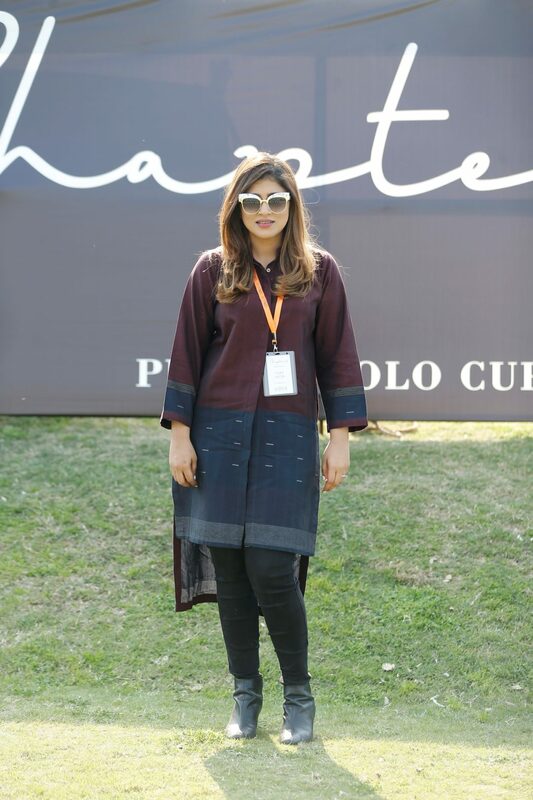 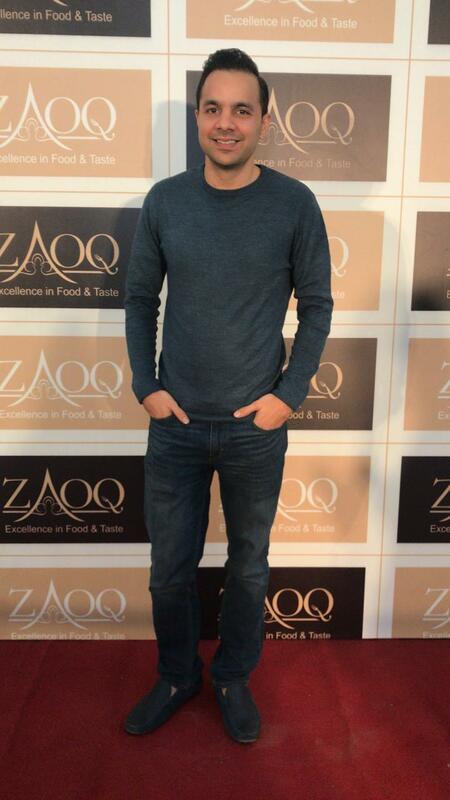 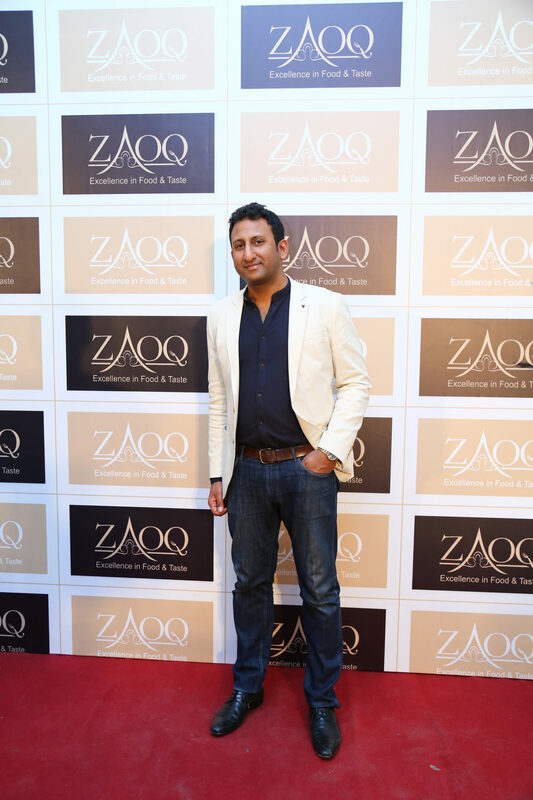 Prior to the final match, Chapter 2 hosted a lunch for customers, partons of Polo members of the art, fashion, literary, design, music, sports communities including Anoushey Ashraf, Eman Suleman, Rashid Rana, Hussain Rehar, Yasser Dar, Kamiar Rokni, Aamna Taseer along with polo players Jamie Le Hardy, Qublain Alam, Saqib Khan Khakwani and Timmy Raja. 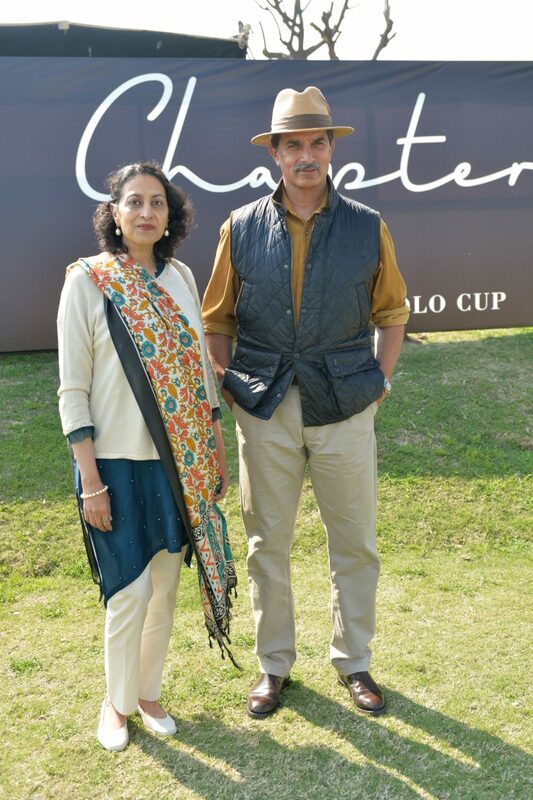 “Chapter 2 is proud to have established an association with Polo which is woven into the very fabric of our history and heritage. 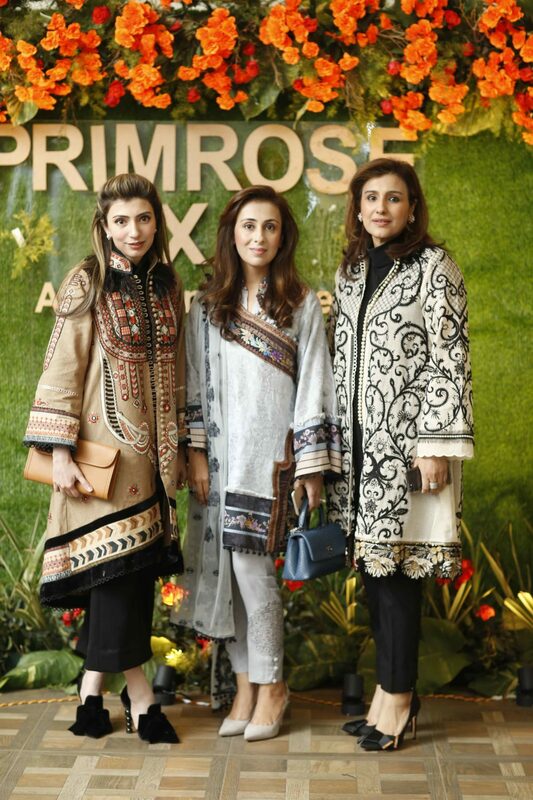 The brand is a strong advocate of Arts and Culture and encourages community development in Pakistan. 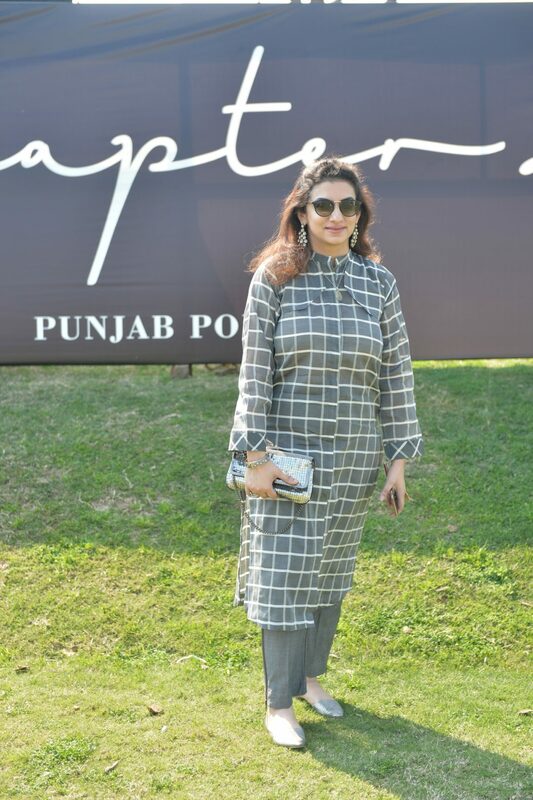 Polo is a game of great intellect, skill, art & beauty which resonates with the ethos of Chapter 2. 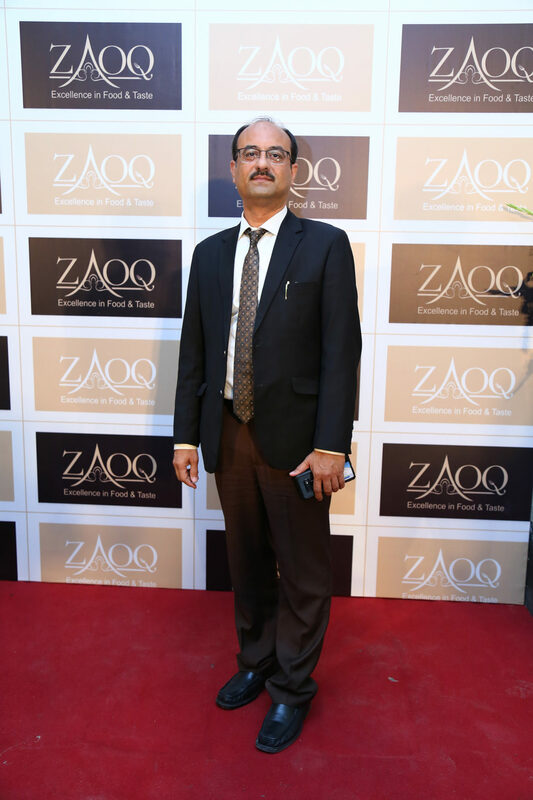 We look forward to further collaborations with this prestigious sport.” said Anjum Nida Rahman, Director Communications, Chapter 2. 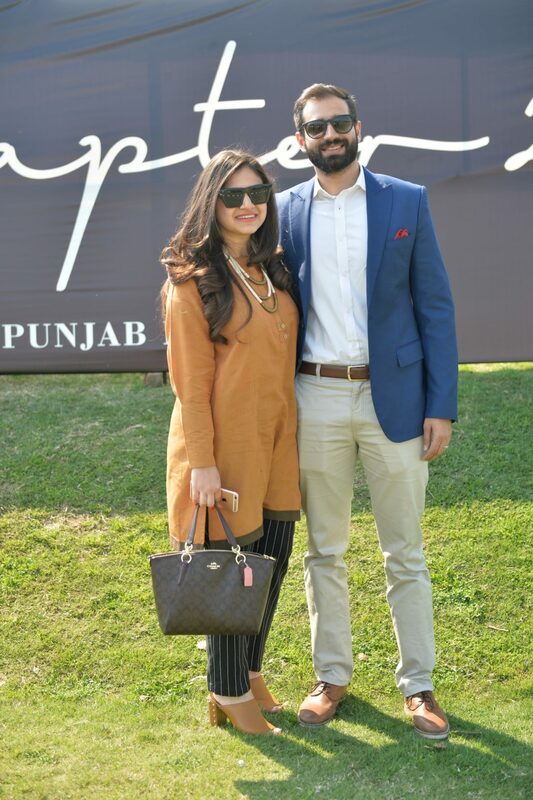 The honourable Provincial Minister Punjab for School Education, Mr. Murad Raas attended the final as the Chief Guest and watched the final of the Chapter 2 Punjab Polo Cup with the President of the Polo Club, Mr. Malik Atif Yar Tiwana, Chapter 2’s Chief Commercial Officer, Sammie Cashmiri and Chief Marketing Officer Muhammad Usman, following which a prize distribution ceremony was held. 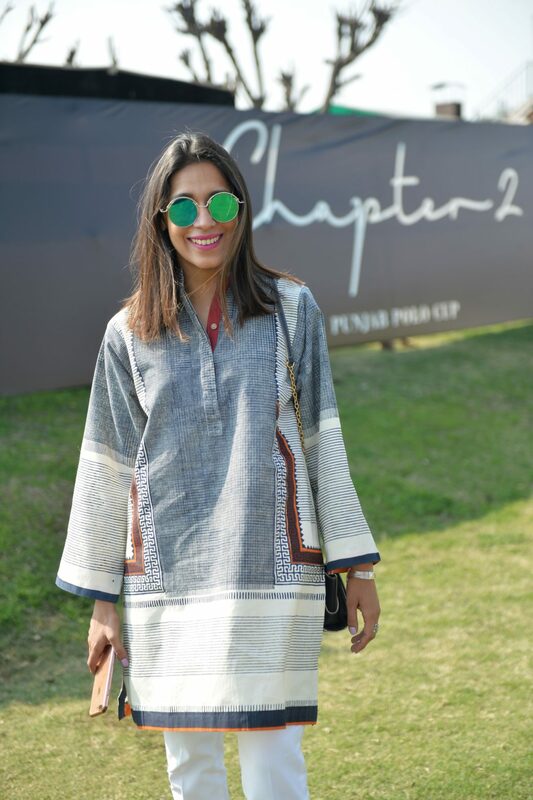 ‘We welcomed Pakistan’s urban fashion brand Chapter 2 to the Lahore Polo Club as patrons of the king of games with the Chapter 2 Punjab Polo Cup 2019 and they have championed the revival, restoring and celebration of the sport. 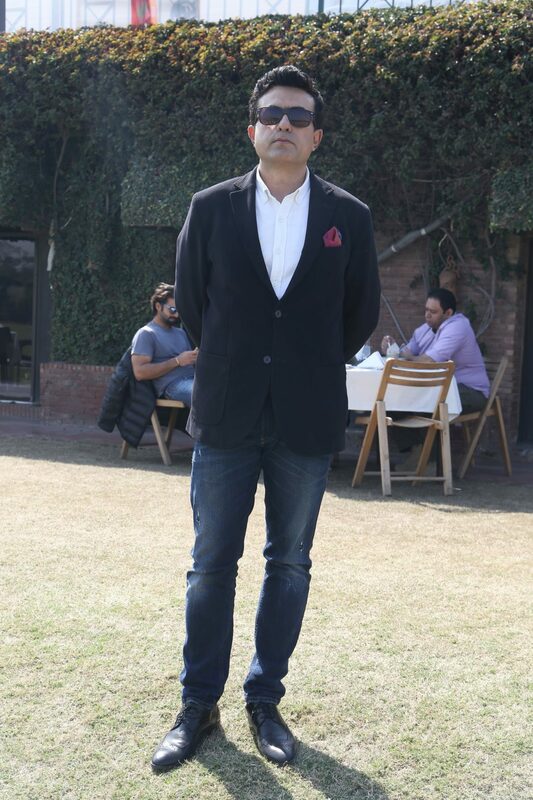 Bravo!’ said President, Lahore Polo Club, Malik Atif Yar Tiwana. 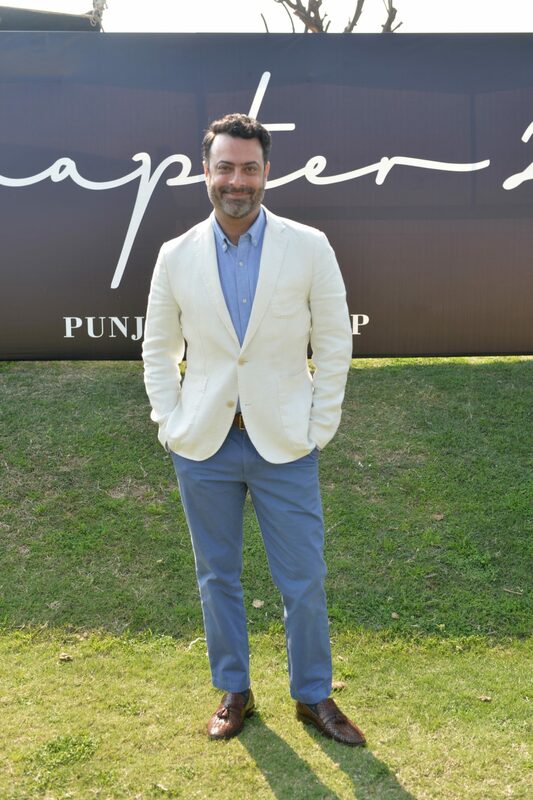 The Chapter 2 Punjab Polo Cup Tournament 2019 is one of most prestigious polo tournaments in the high goal South Asian Polo calendar and was contested by five teams with players from Pakistan, Argentina and the UK, including Nicolas Corti, Saqib Khan Khakwani, Juan Cruz Losada, Hissam Ali Hyder, Hamza Mawaz Khan, Salvador Ulloa, Raja Temur Nadeem, Matias Vial Parez, Ahmed Ali Tiwana and Bautista Bayuger. 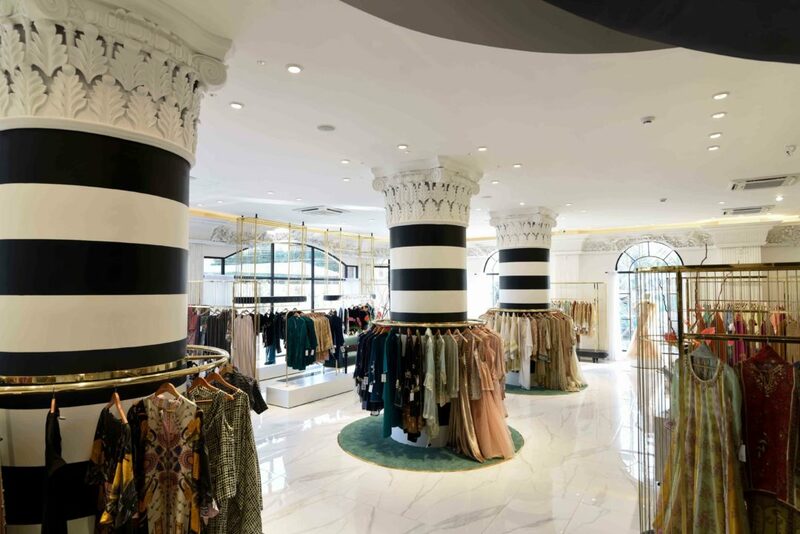 Chapter 2 celebrates ingenious craft and transforms it into urban fashion. 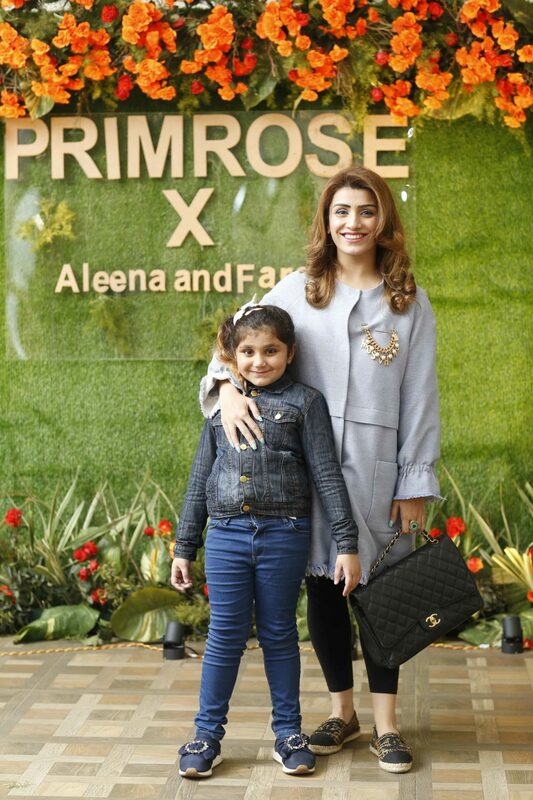 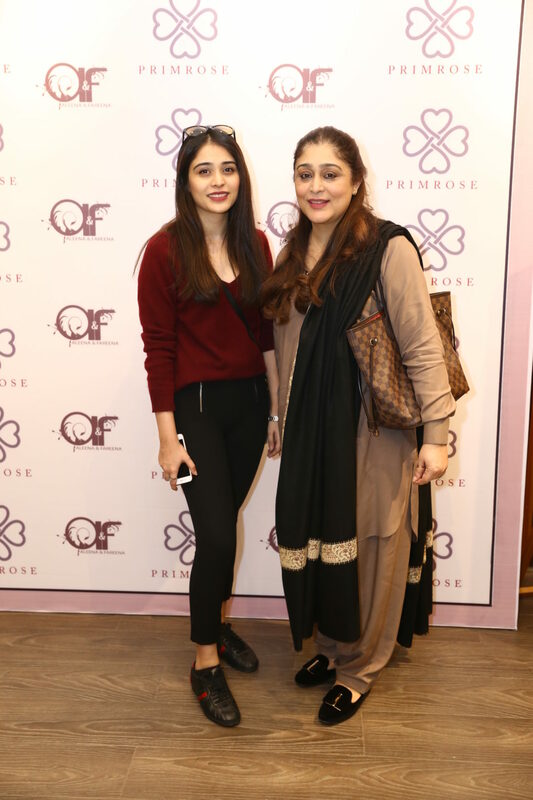 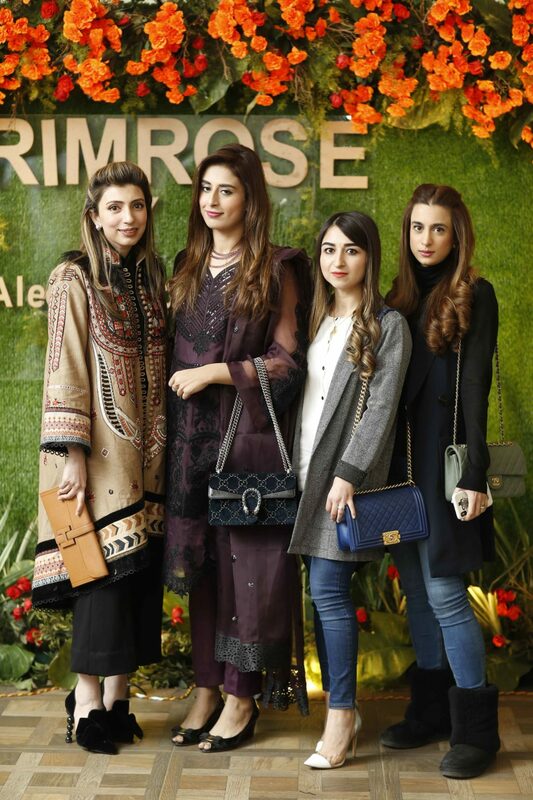 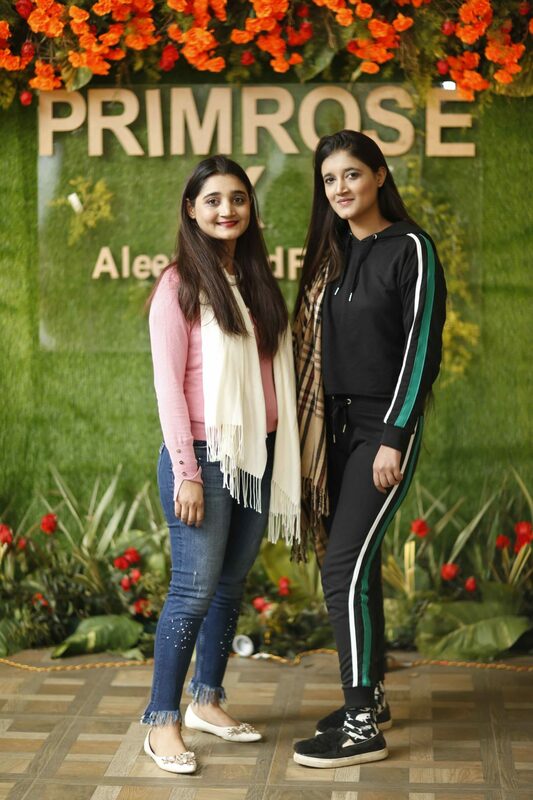 Pakistan’s renowned supermodel and actress Nadia Hussain launched her first makeup brand at the famous multi-brand makeup and cosmetic store Scentsation, in Dolmen Mall Clifton, Karachi. 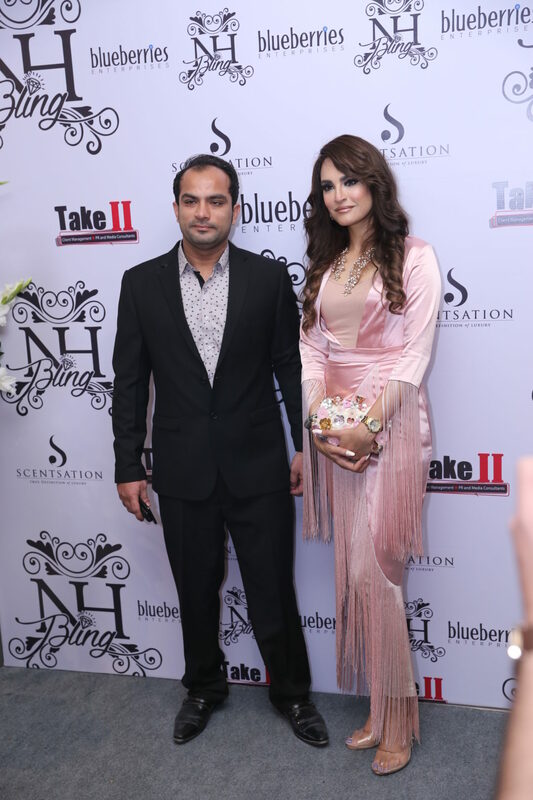 Nadia did a live makeup performance for the media and the audience present at the event, which was carried brilliantly by the models. 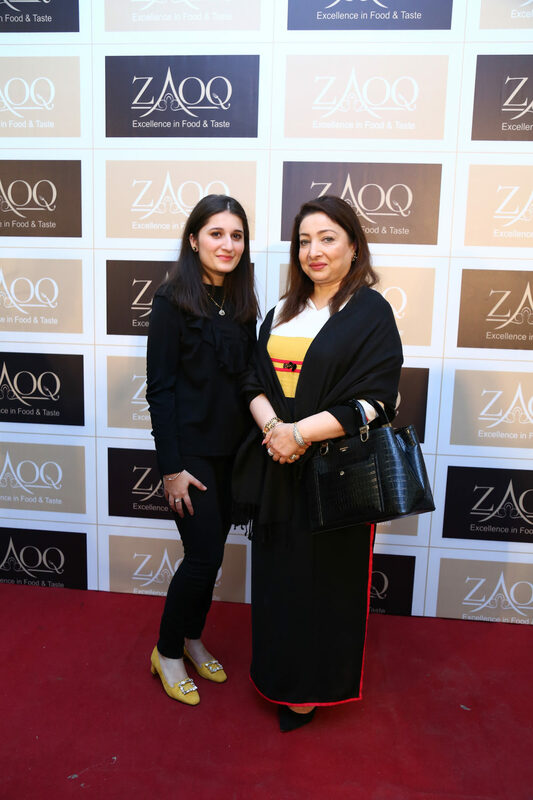 The event was a star studded affair where people from the fashion fraternity and the socialites came forward to support and congratulate Nadia’s new makeup venture. 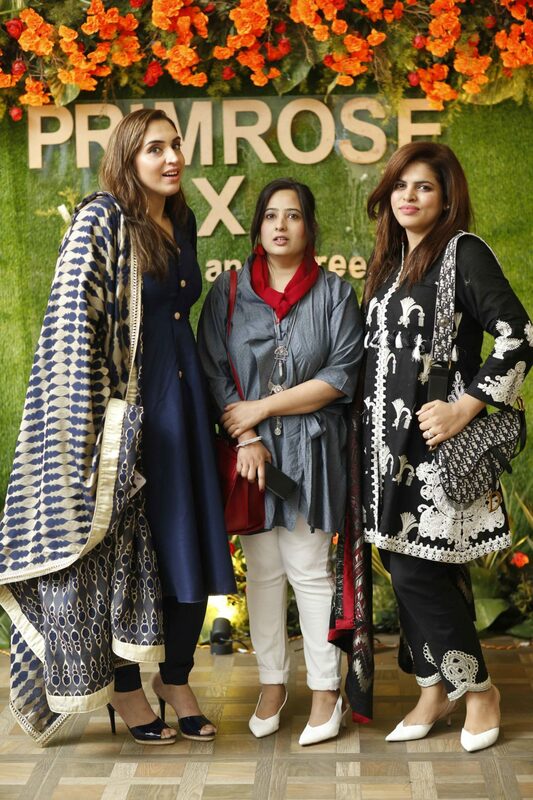 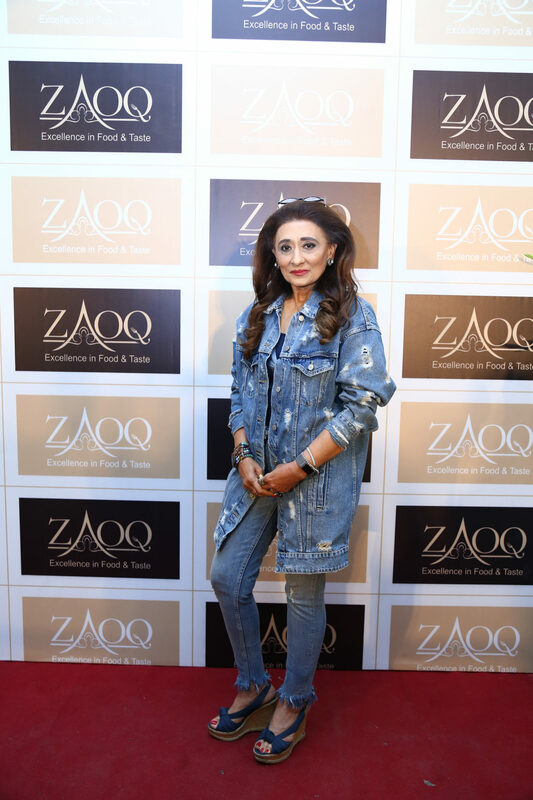 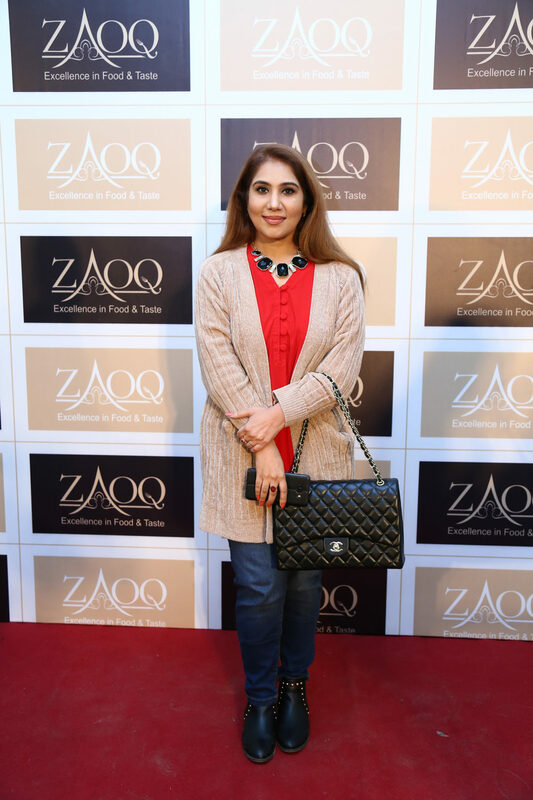 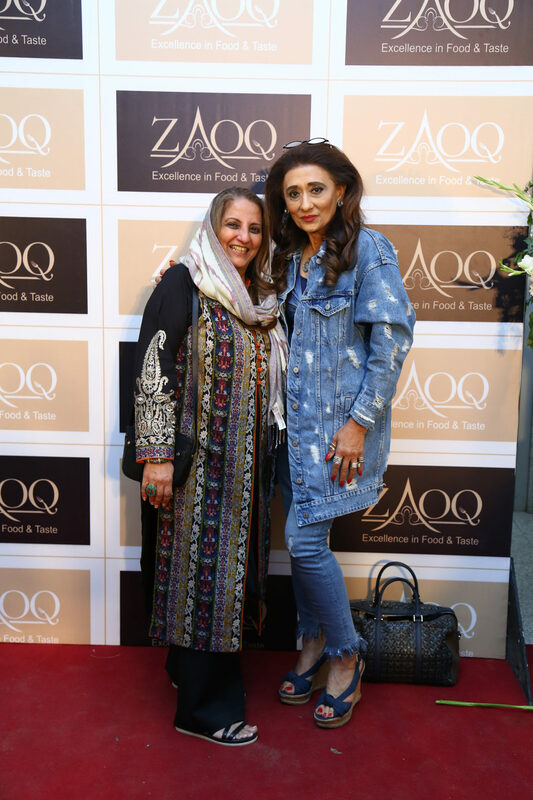 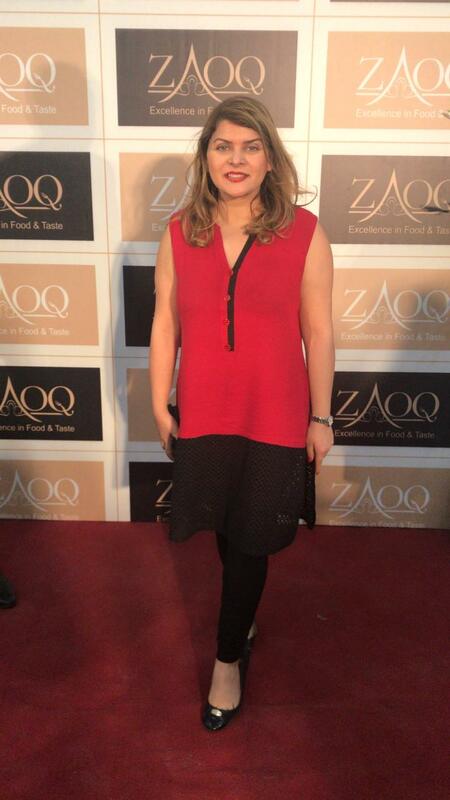 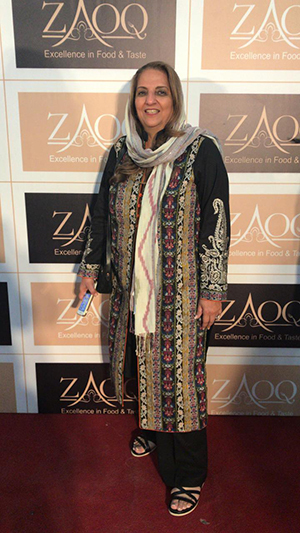 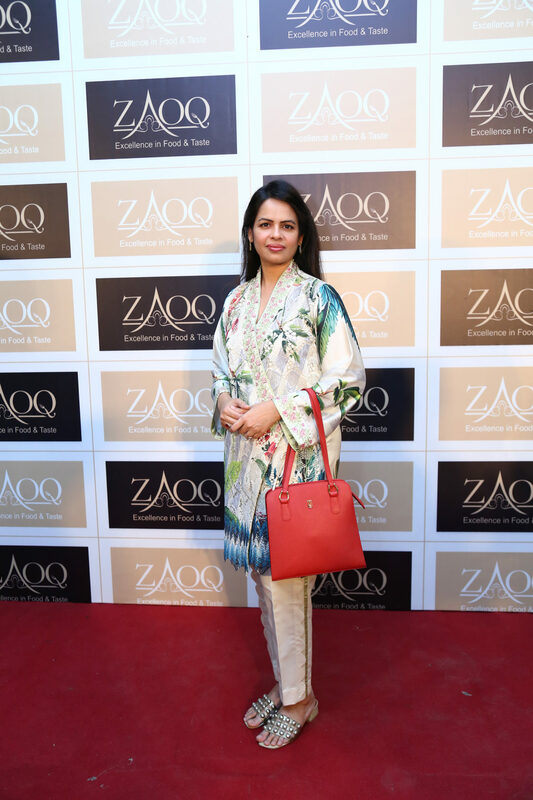 Nadia Hussain has been in the fashion fraternity for almost 2 decades now and has been known as the senior member of Pakistan’s fashion industry. 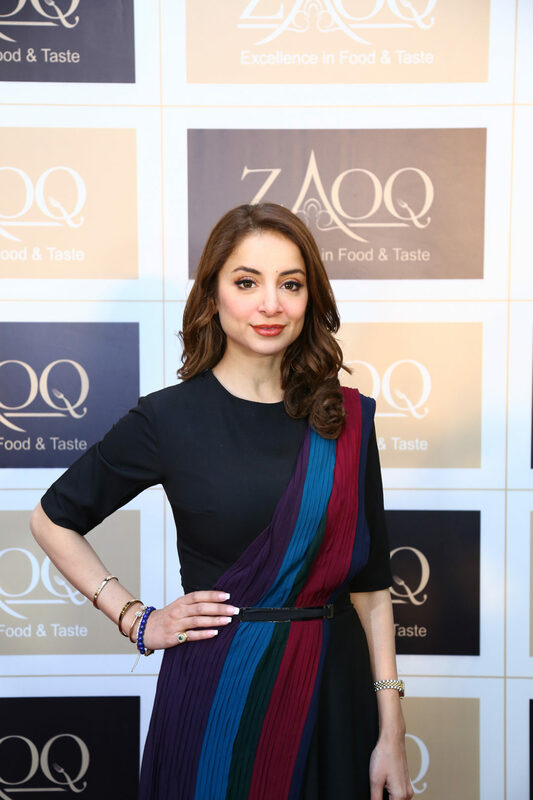 Apart from being a model, Nadia is a Dentist, Actress, Makeup Artist, Host and an Entrepreneur. 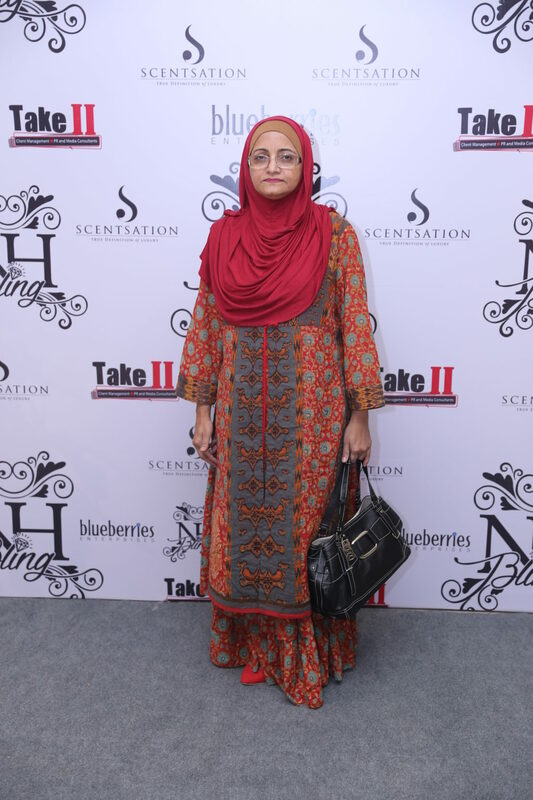 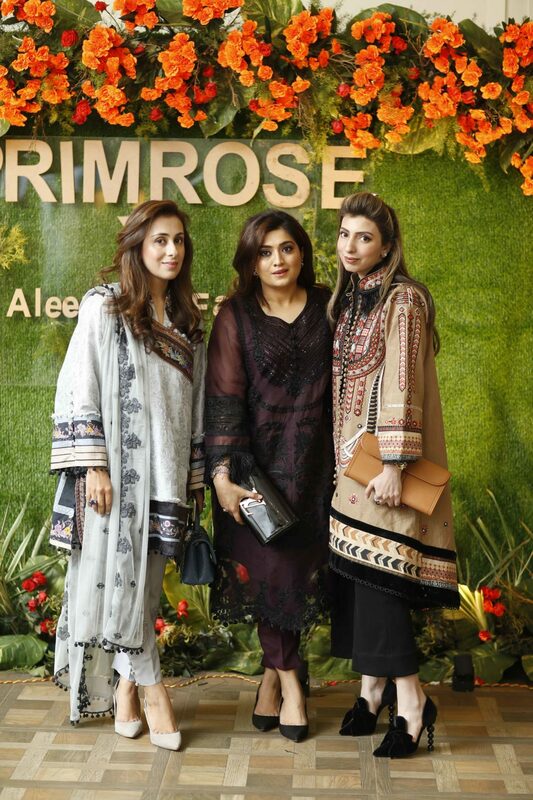 Nadia opened her first salon in Karachi 4 years ago which has gained immense success in the course of time. 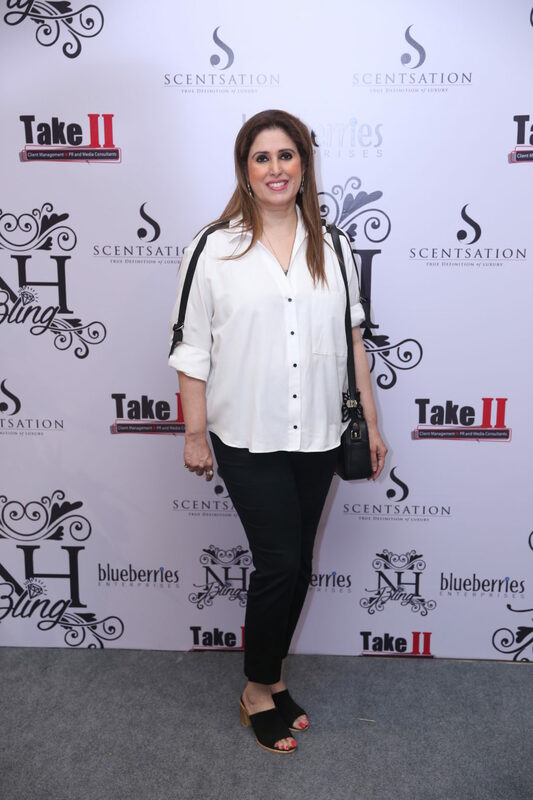 Nadia has also been brand ambassador for several clothing and shoe brands. 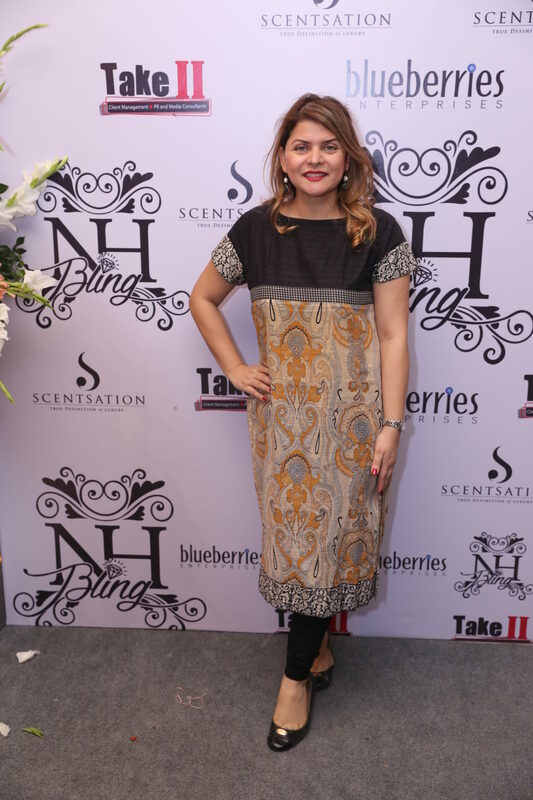 NH Bling will be available at Nadia Hussain Salon and Scentsation outlets in Karachi, Lahore and Islamabad. 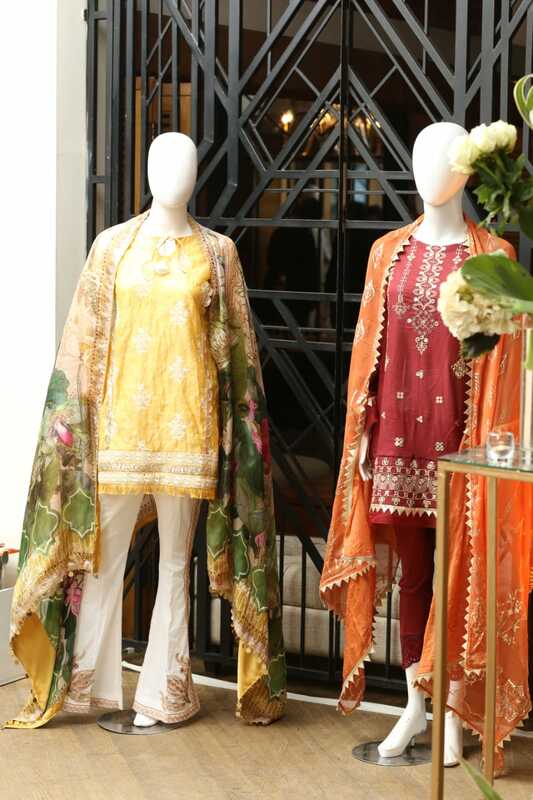 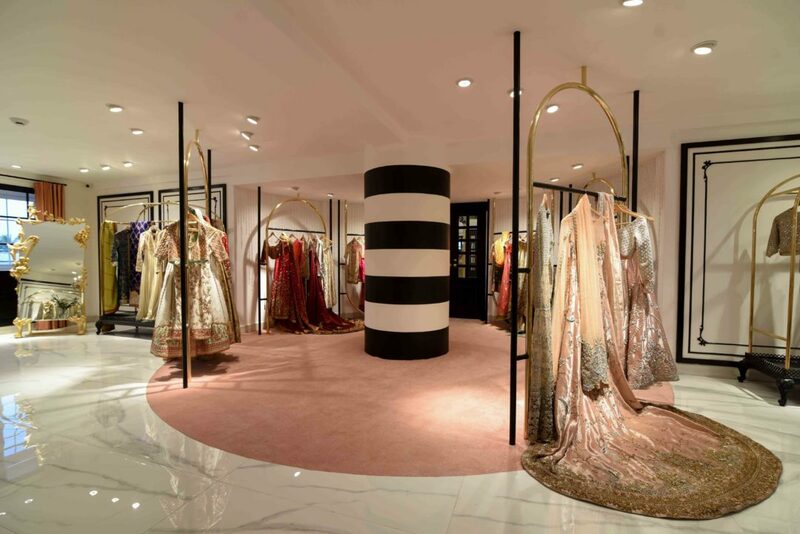 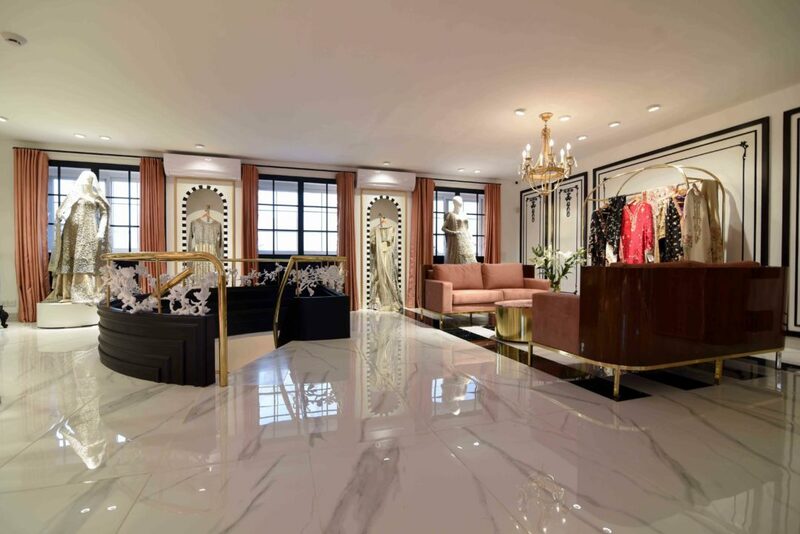 It will also be available at the upcoming new store of Nadia Hussain at LuckyOne Mall in Karachi. 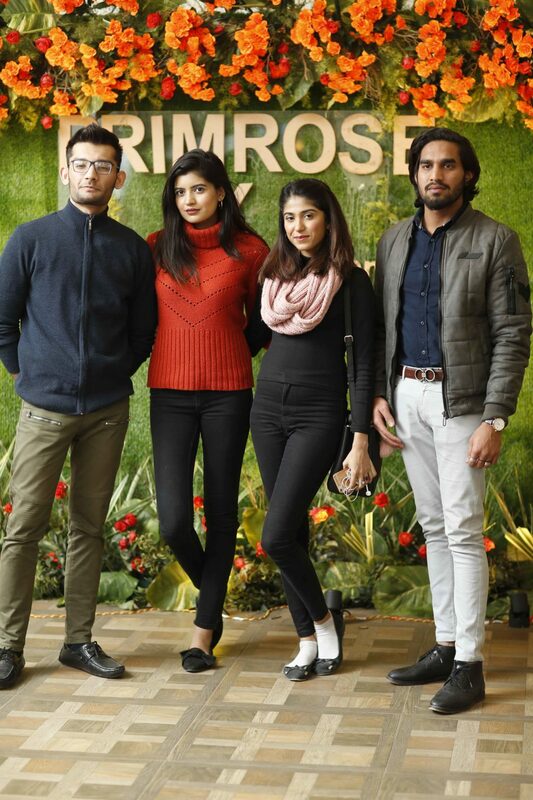 The brand will be available for online sale at Daraz.pk, all over Pakistan. 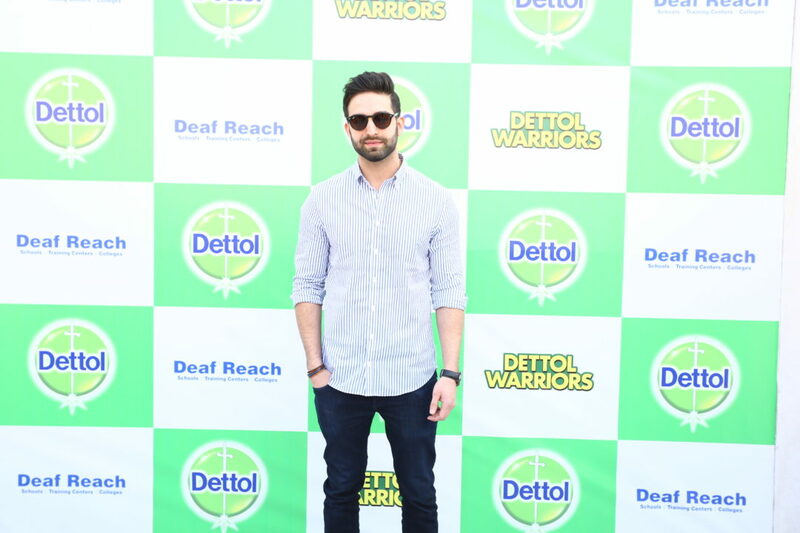 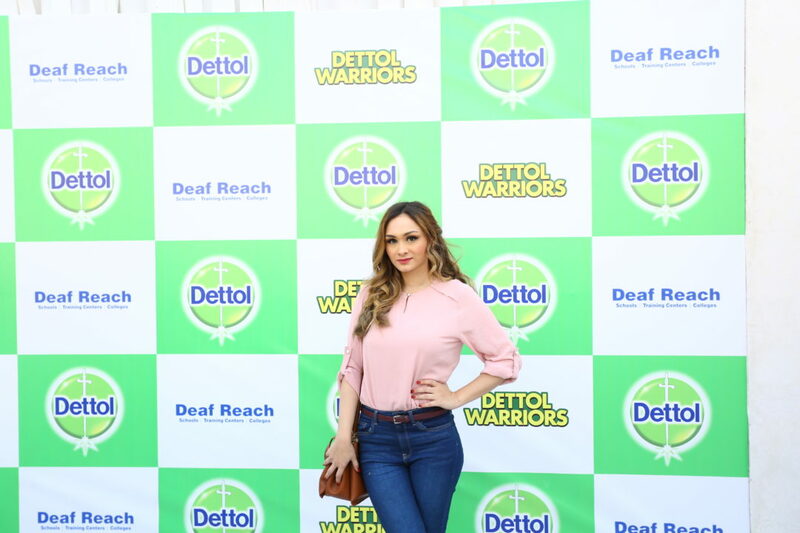 Dettol recently conducted a Story Telling session at the Deaf Reach School, unveiling the latest adventure of the Dettol Warriors against their evil germ rival, Germoon. 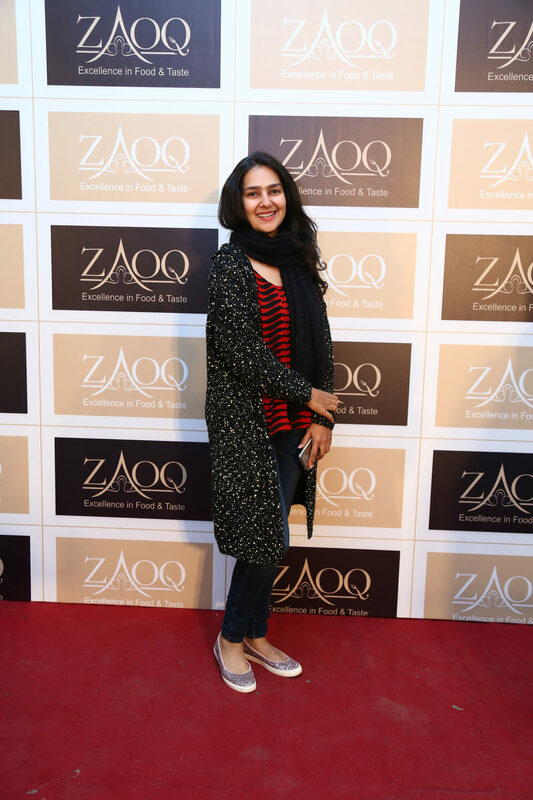 The renowned actor Sania Saeed hosted the story telling session that was translated into sign language for the students of the Deaf Reach School. 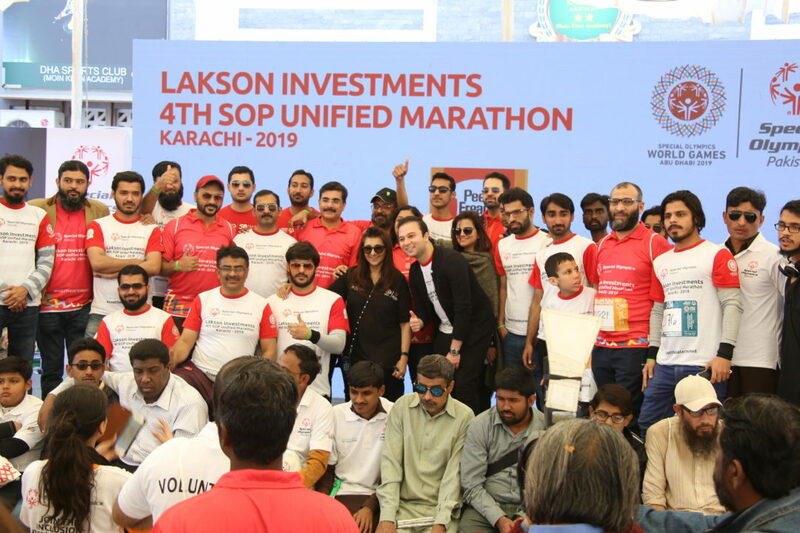 Pakistan’s leading biscuit manufacturers, recently sponsored the 4th SOP (Special Olympics Pakistan) Unified Marathon in support of their shared vision of promoting the inclusion of people with intellectual and physical disabilities. 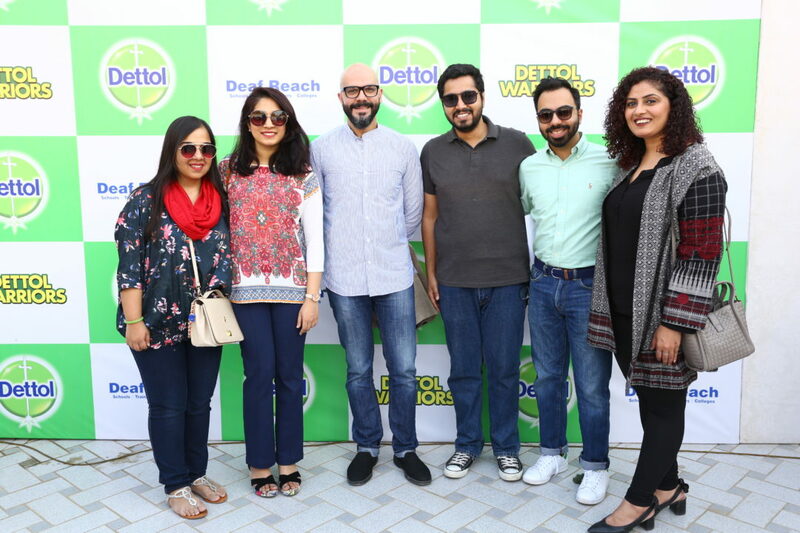 The marathon, which involved a Run, Walk and Wheelchair race with a 700M Kid’s Dash, a 5KM|10KM and Half Marathon, was held on Sunday, February 17th, 2019 in Karachi at the DHA Sports Club – Moin Khan Cricket Academy. 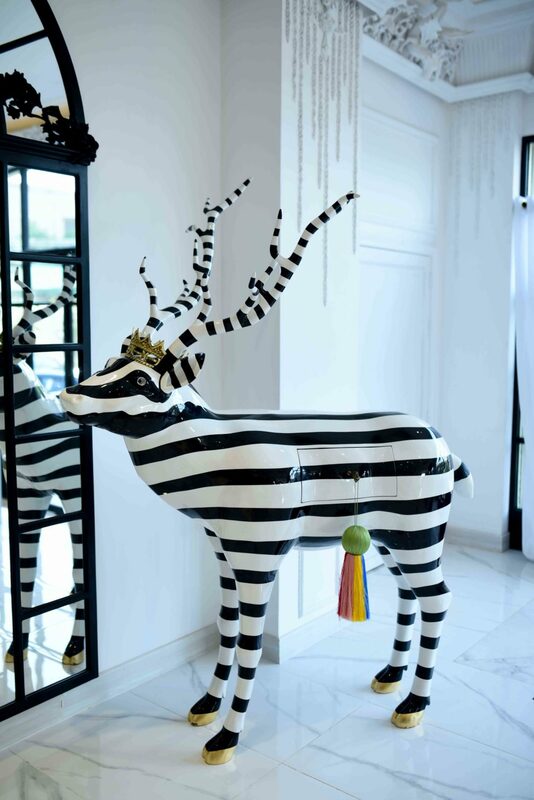 EBM has always strived to go the extra mile in supporting various causes that are in line with their company values. 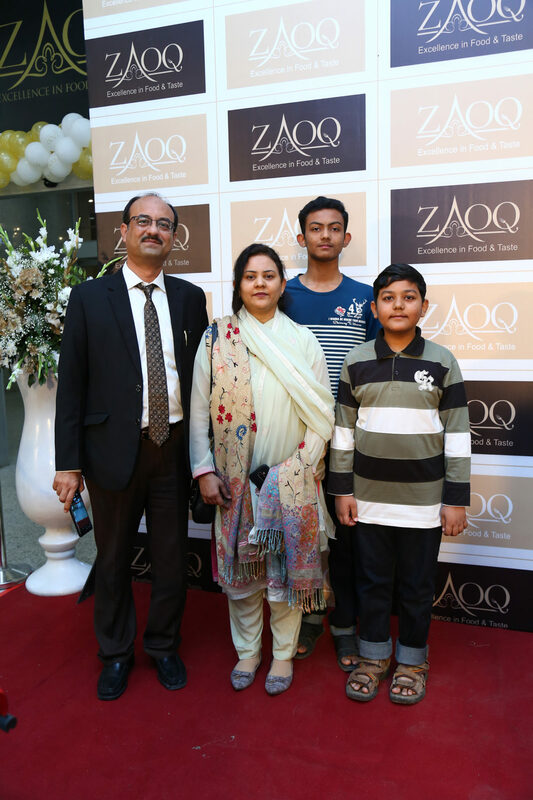 Through this sponsorship, EBM has demonstrated its unrelenting enthusiasm for the promotion of sports and sportsmanship within Pakistan combined with a vision to give both children and adults with intellectual disabilities a range of opportunities that will help them develop their physical fitness, demonstrate courage, experience joy and interact socially with other Special Olympics athletes and the community. 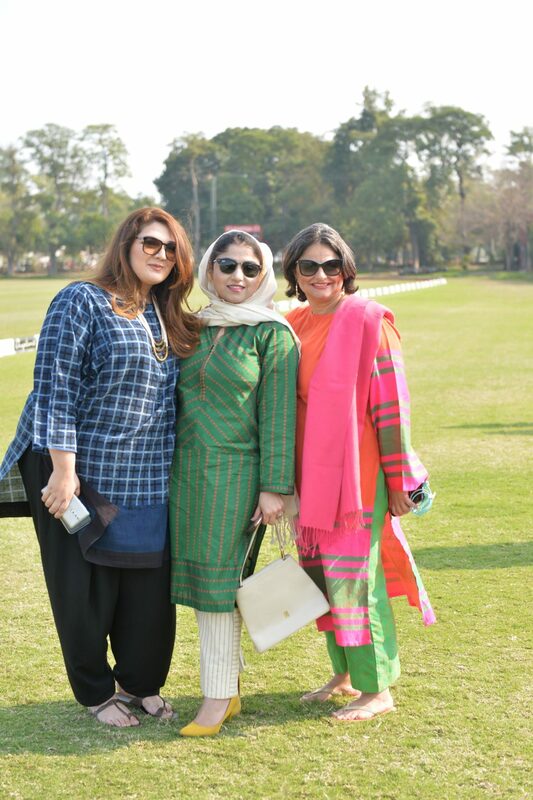 To display their support, a number of EBM employees attended the marathon in great numbers. 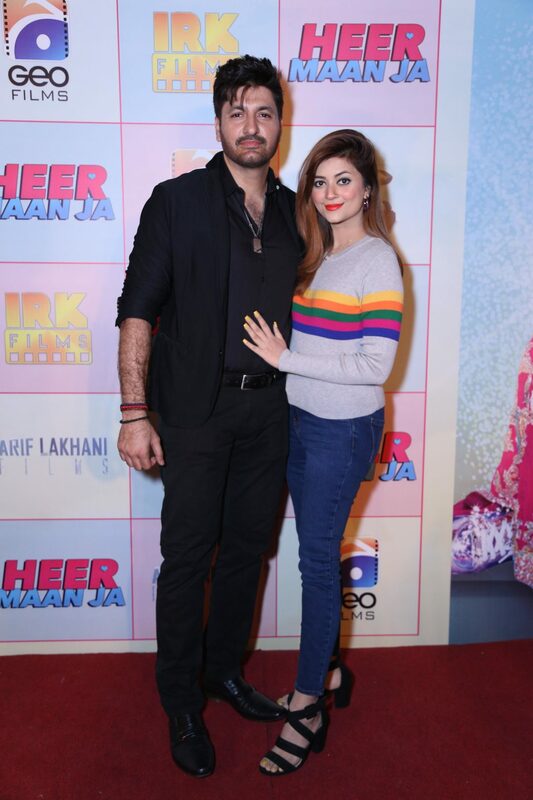 After the critical success of the release of his first two singles in December 2018, one of Pakistan’s leading singer and songwriter, Jimmy Khan has released the much awaited third song and video from the album ‘Tich Button’, titled ‘Pyar Naal Na Sahi’. 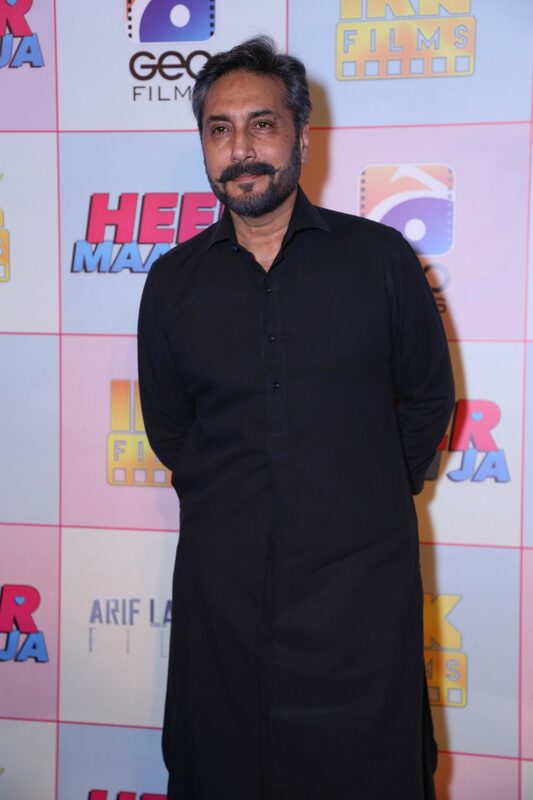 Indeed, the third track, ‘Pyar Naal Na Sahi’ is one of Jimmy Khan’s most well received and popular folk renditions. 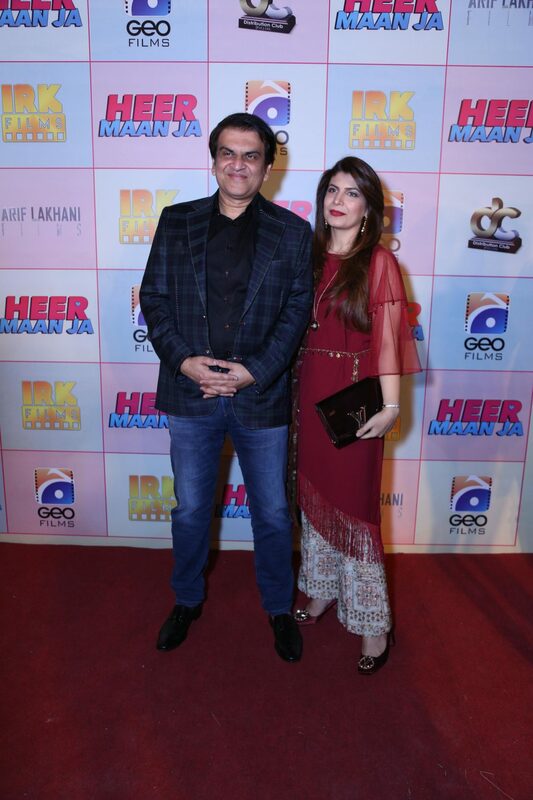 An original folk tune by one of Khan’s heroes and one of the greatest lovers of all time, Attaullah Esakhelvi, lovingly known as Lala, ‘Pyar Naal Na Sahi’ celebrates love and devotion to a degree that almost seems more fictitious than anything in the world today. 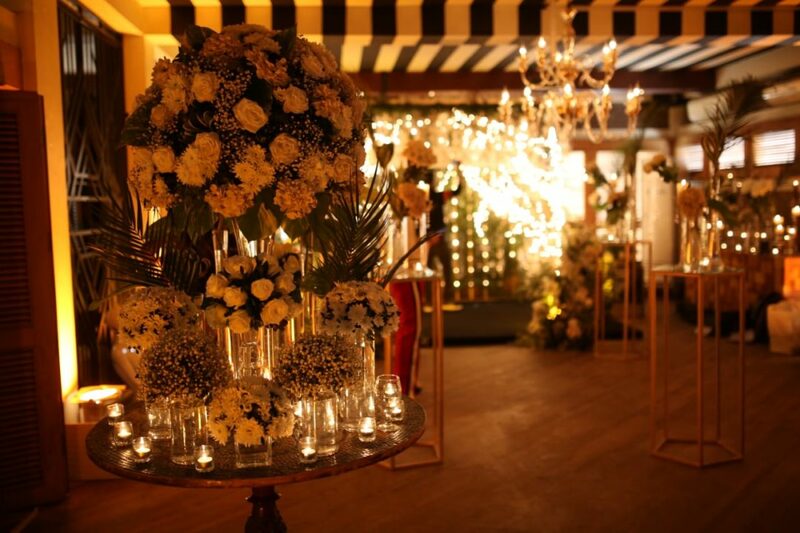 The words are dreamy and evoke a sense of obsessive passion one can have for their loved one. 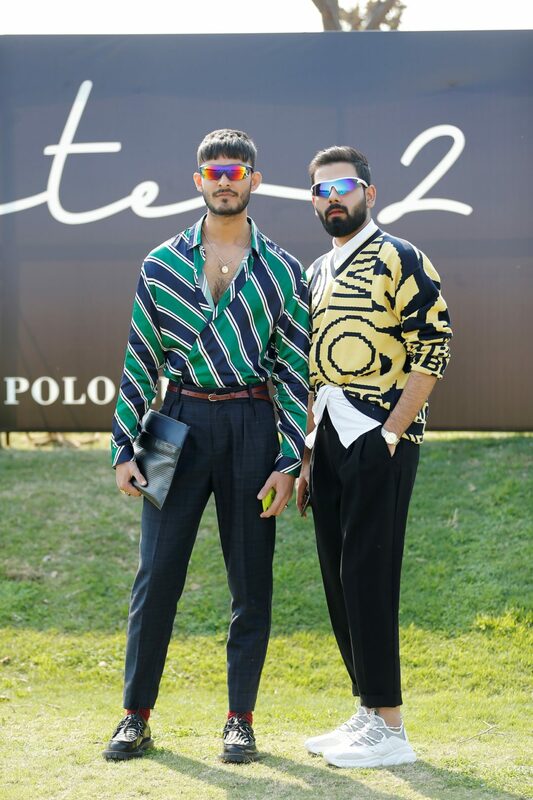 One can’t say it doesn’t exist but it’s definitely hard to find. 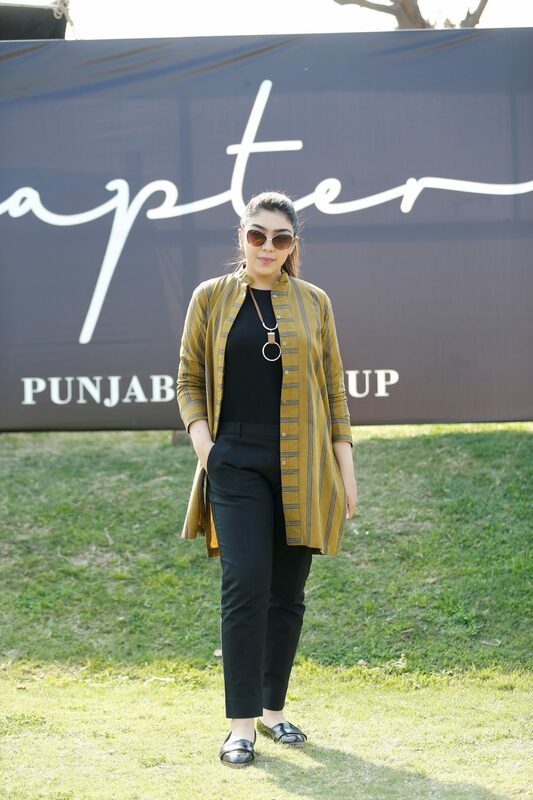 “The conviction in Lala’s voice when I first heard this song resonated with me so strongly I sing it at every opportunity I get and is now a recognized number in the bands set. 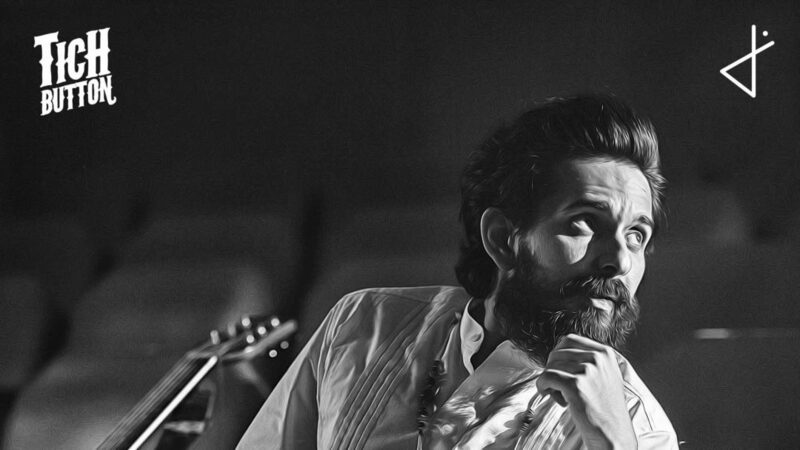 Humbled and honored to have Lala’s blessings for this rendition and very happy to finally put this live version out. 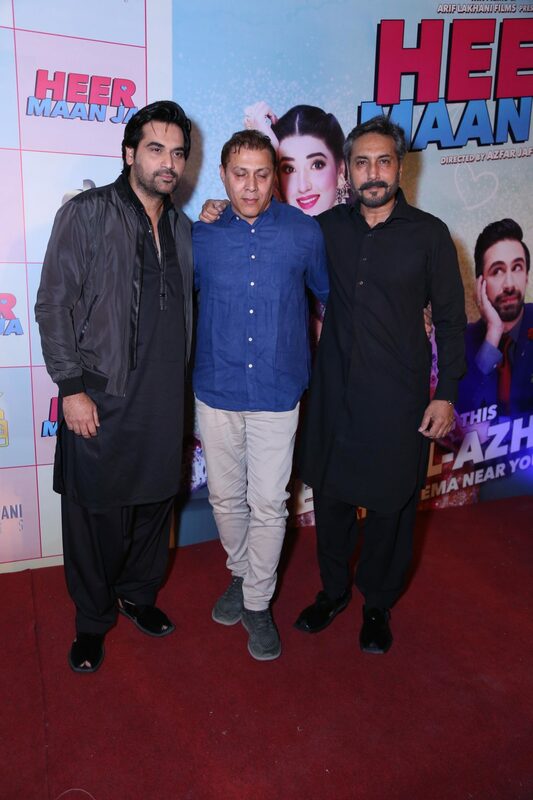 Hope you all enjoy this.” said Jimmy Khan on the release of ‘Pyar Naal Na Sahi’. 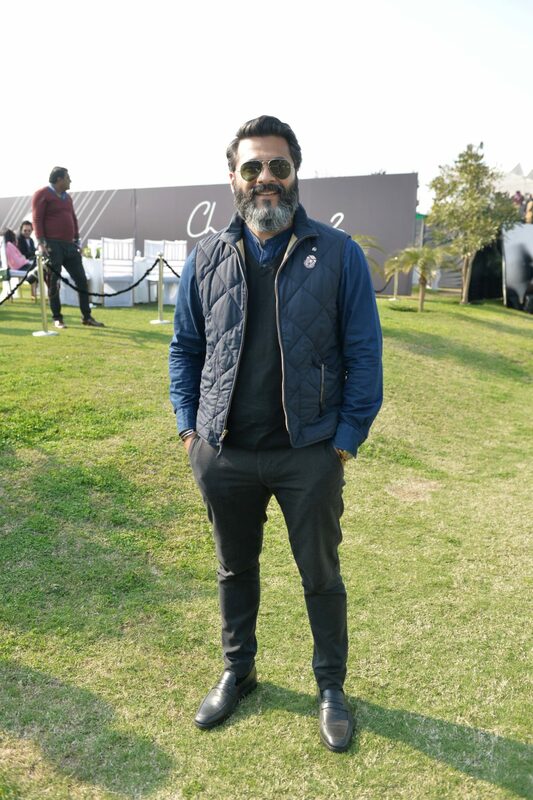 With his first folk album TICH BUTTON, intends to revive and rejuvenate old Punjabi folk poetry and tunes. 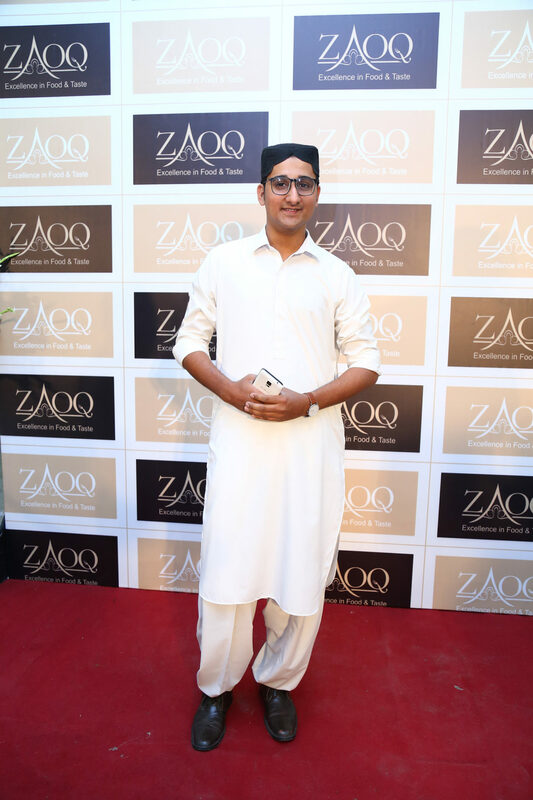 He brings these to life by and songs infused with the signature Jimmy Khan Band sound. 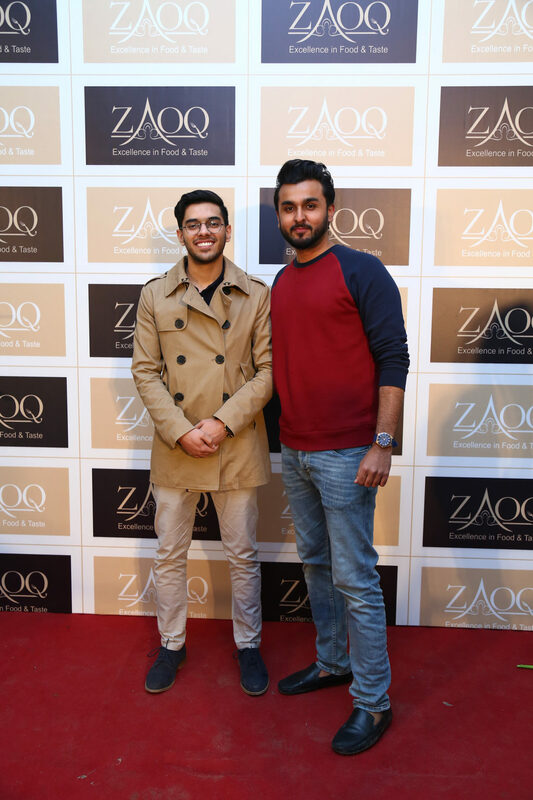 The songs have been arranged and tracked by the band at Saad Hayat’s Studio in Karachi and mixed by Zain Ahsan in Lahore. 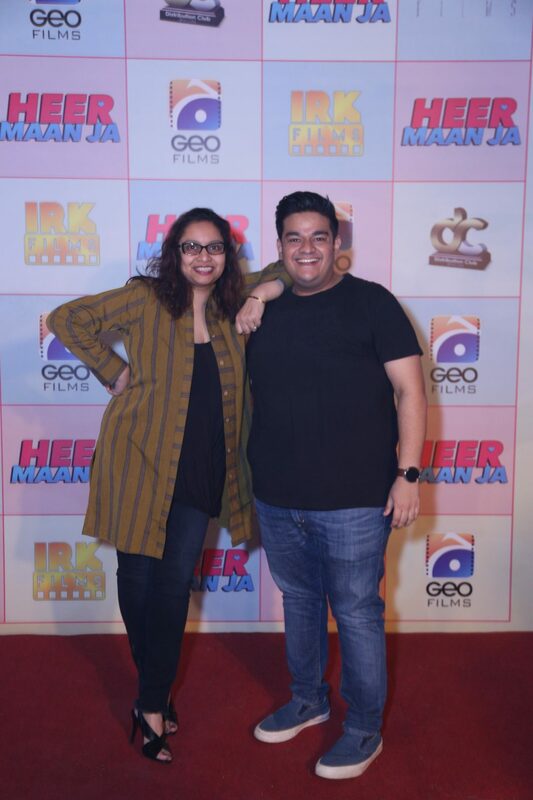 All the performance videos were shot in Rangoonwala auditorium directed by Ahsan Ali along with director of photography Ahsan Ali. 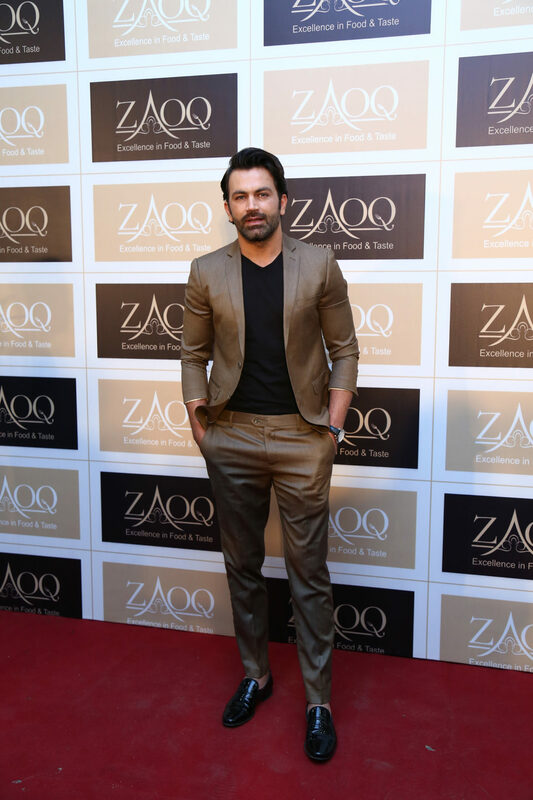 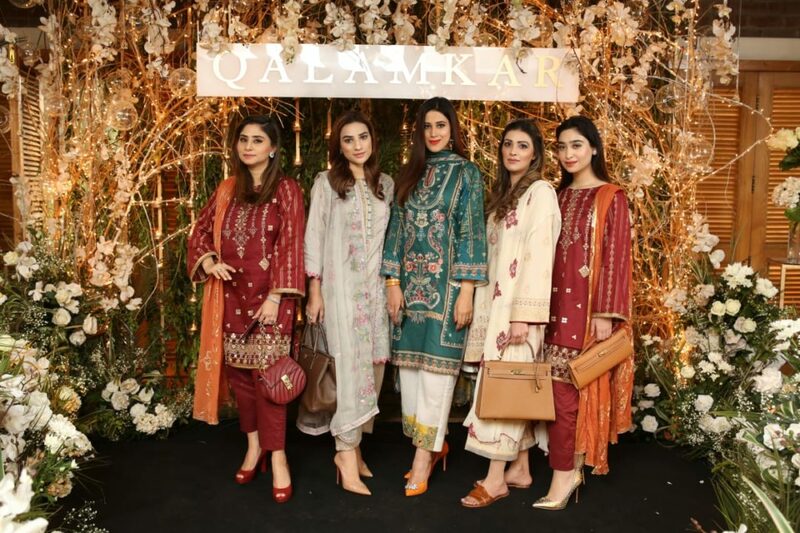 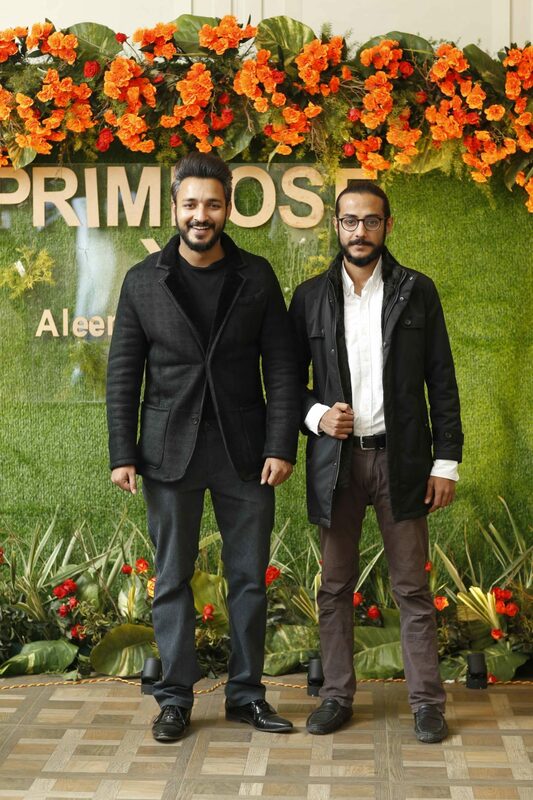 Following a great deal of success and recognition as a high-end luxury brand, Qalamkar announces the launch of its new Luxury lawn collection called ‘Daur-e-Hayat’ for the upcoming Spring season. 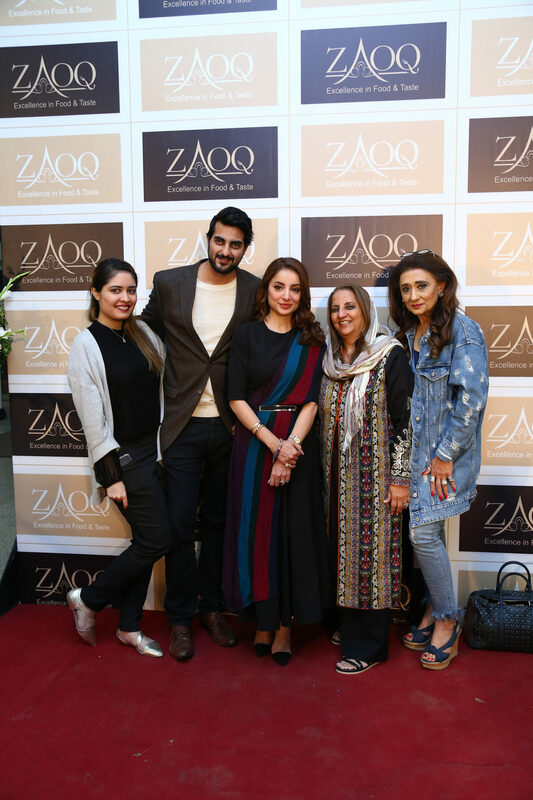 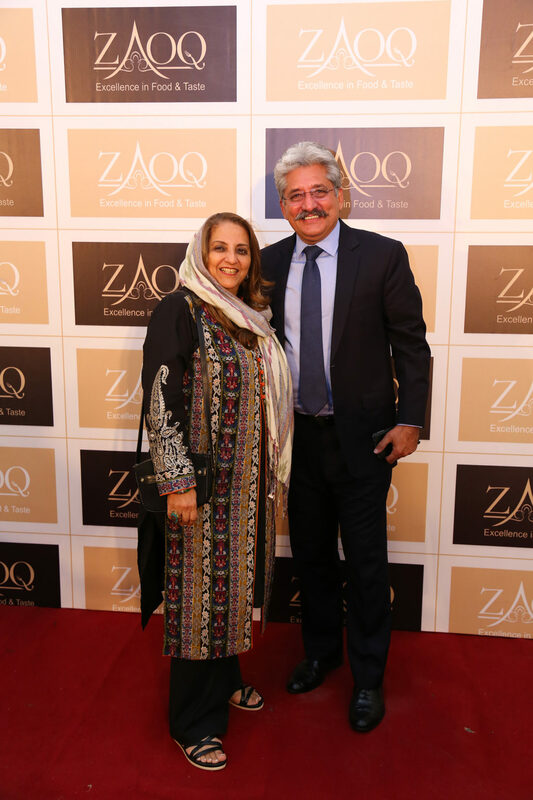 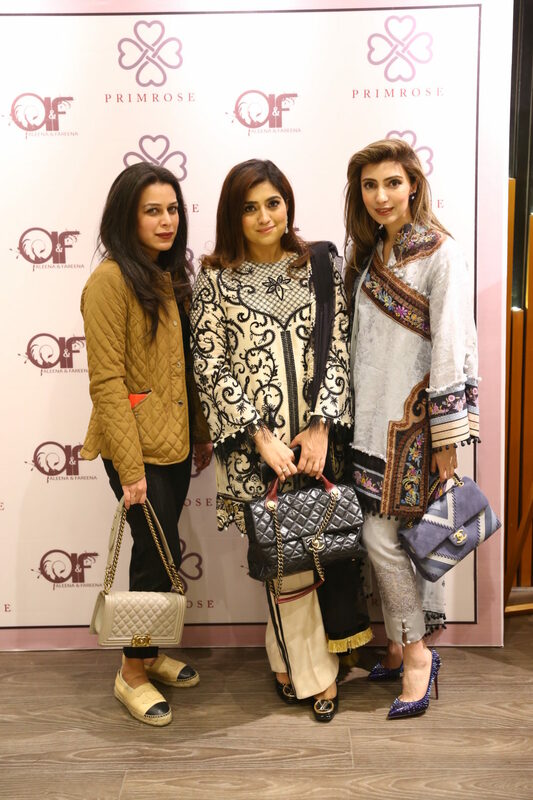 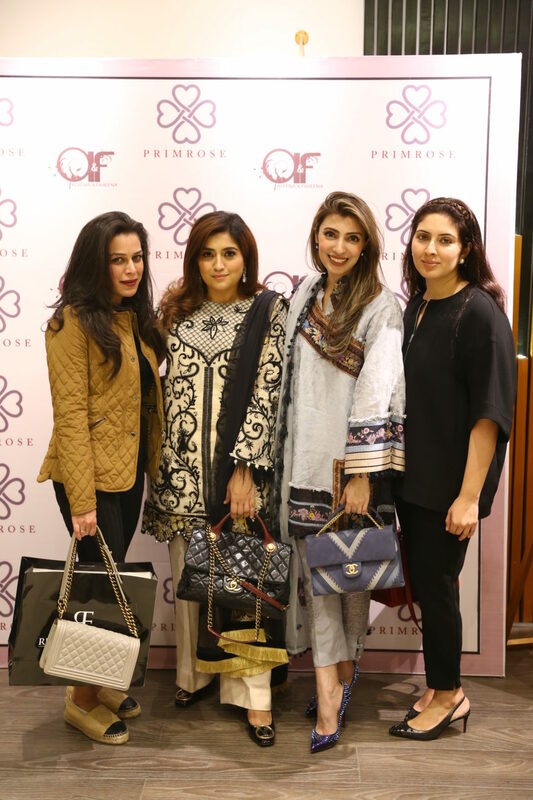 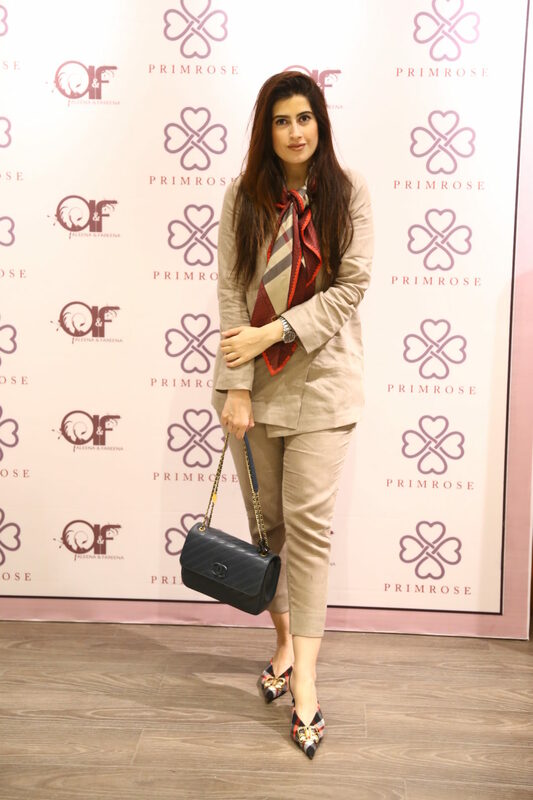 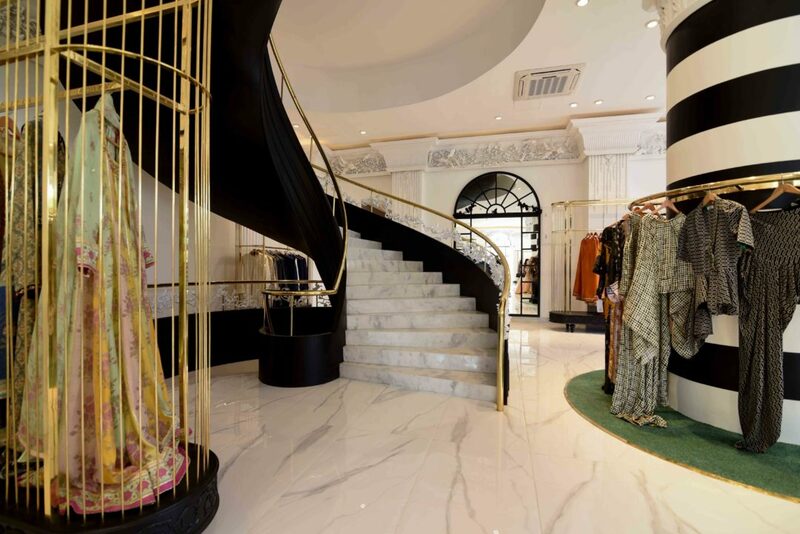 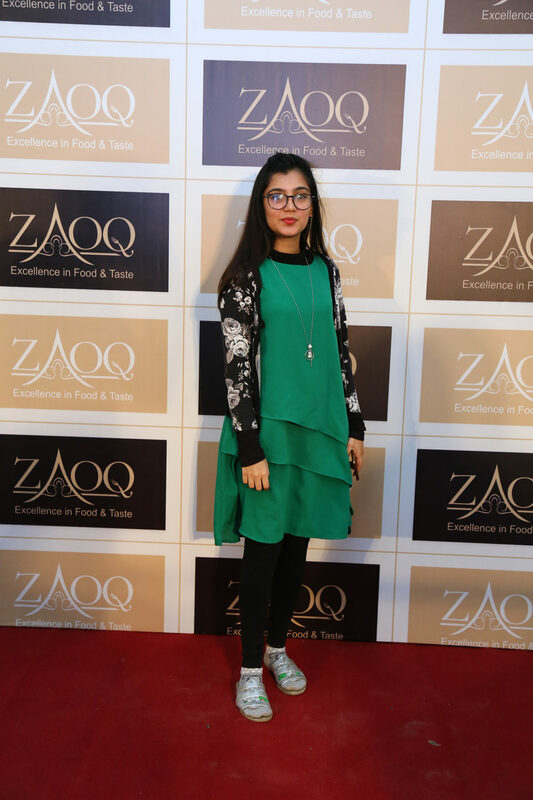 To celebrate the launch, invitations were extended on behalf of Qalamkar to distinguished media personalities, famed fashion bloggers, magazines’ editors and well driven journalists, resulting in a grand exhibit and interactive blogger’s meet up at Cosa Nostra in the midst of notable personalities. 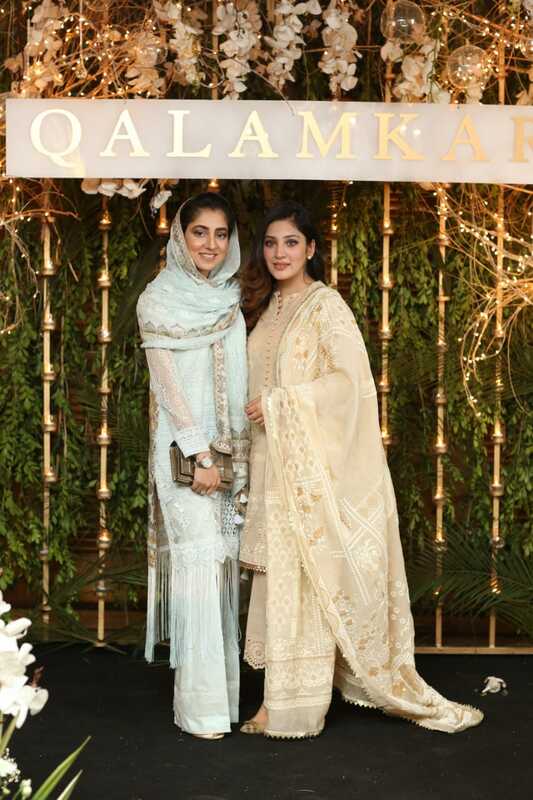 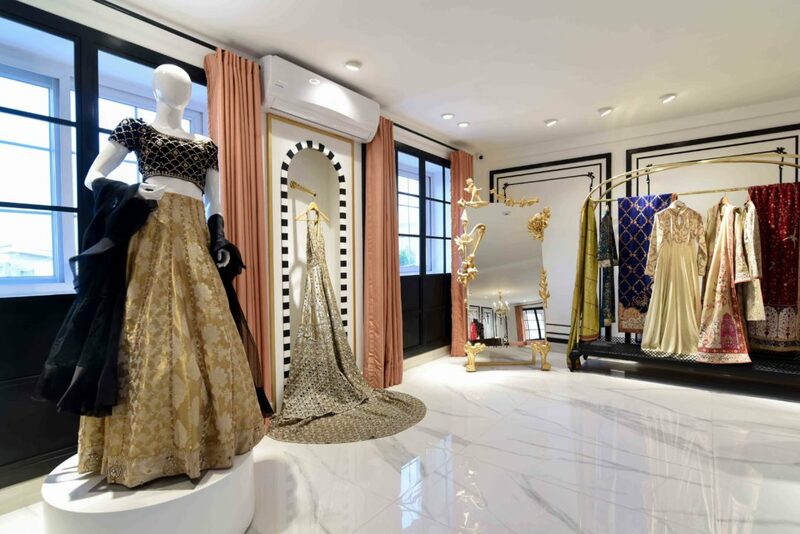 Taking inspiration from the classic and traditional women of the subcontinent, Qalamkar has come up with a collection that has kept the silhouettes classic and designs rich yet has beautifully managed to put it all together in a modern way. 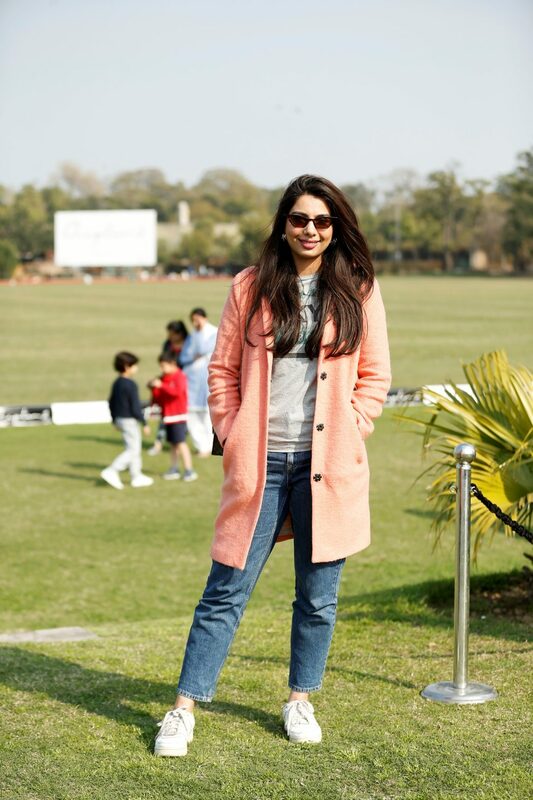 Consisting of 15 designs, this collection doesn’t only include bolds like crimson reds and magenta but entails pastels like minty blues and pearly whites as well. 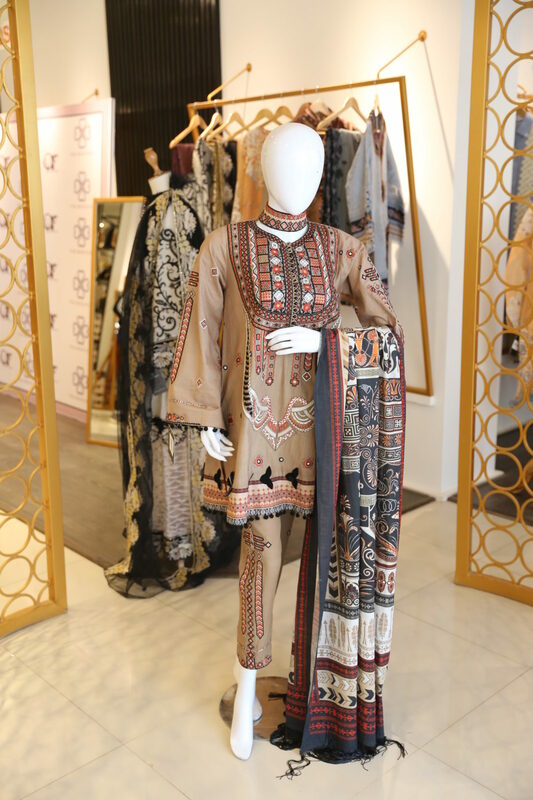 With flowy printed silk dupattas, elegant embellishments and sundry colors, this collection is the essence of sophistication, grace and panache especially with the face of this new campaign, which was revealed to be Iqra Aziz, a renowned actress. 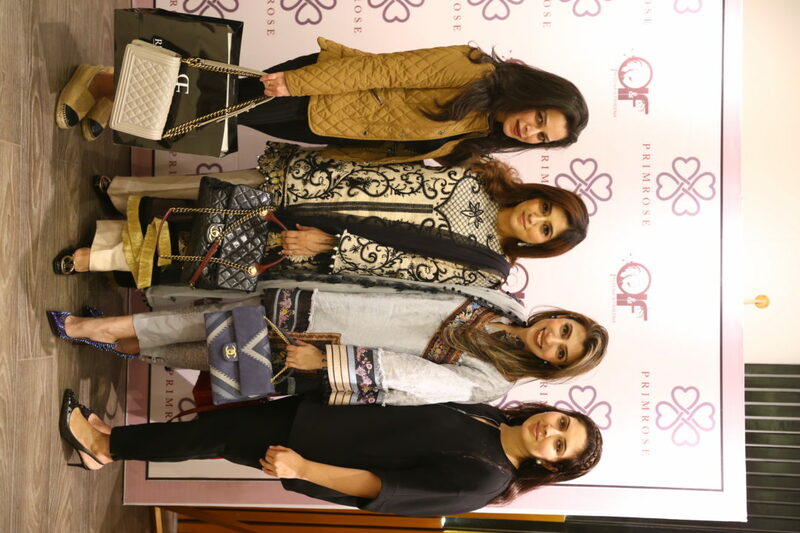 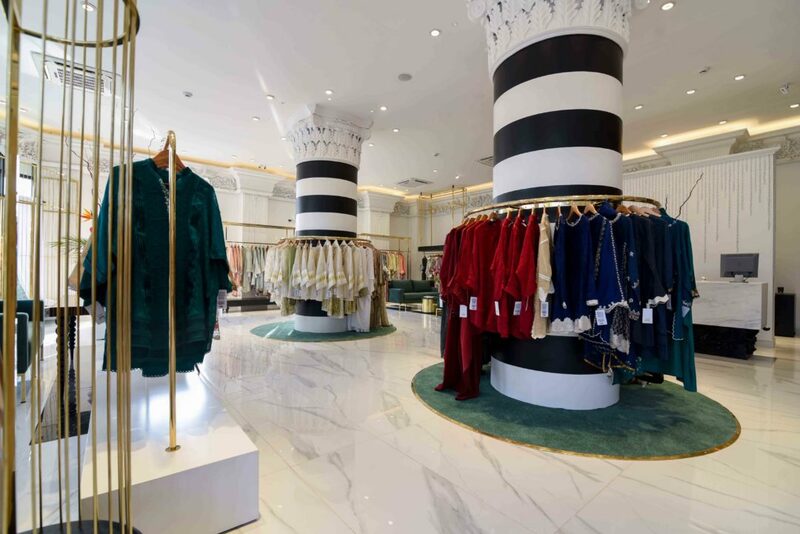 Qalamkar is a women’s clothing brand from Al-Noor Fabrics which aims to provide inspiring designs with vibrant colors to Pakistani Women while ensuring no compromise on quality. 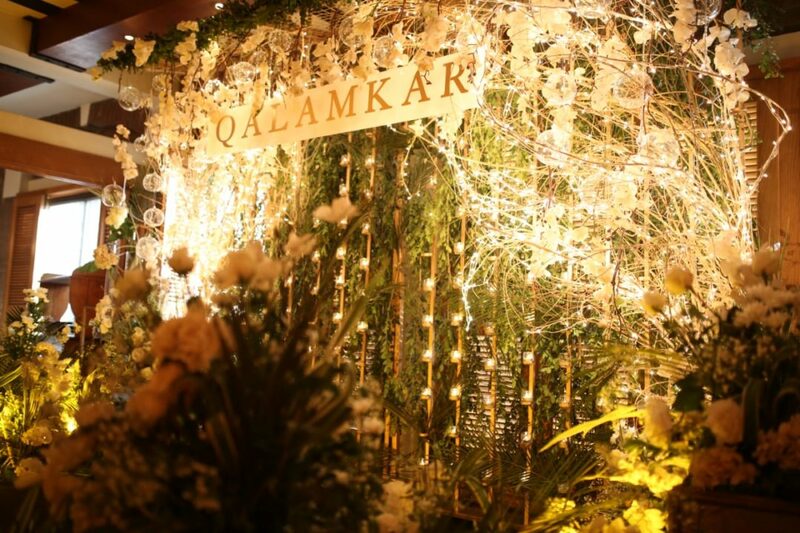 For all beautiful customers out there, here’s presenting the new Qalamkar exquisite designs providing affordable luxury.